Woodwork is a great hobby that involves creating a lovely masterpiece that brings life to rather still wood. It is a delicate and patient hobby and profession that requires dedication and devotion. Great woodwork requires having the best woodworking tools that would make your piece of art beautiful and exceptional. These tools facilitate the process of cutting and shaping wood to turn it into different unique pieces. We understand the importance of these tools and understand that some of them might seem mysterious to you if you come across them at the store or online. 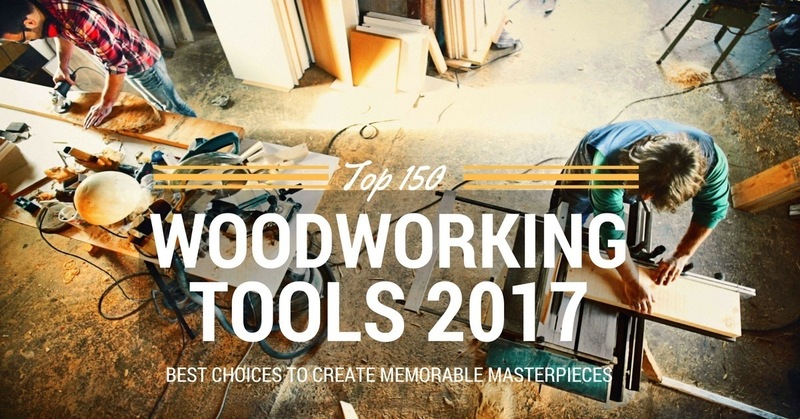 For these reasons, and for the sake of all enthusiastic woodwork lovers, we prepared this list of woodworking tools that involves the most basic woodworking tools including both power tools and hand tools needed to turn wood into timeless masterpieces. 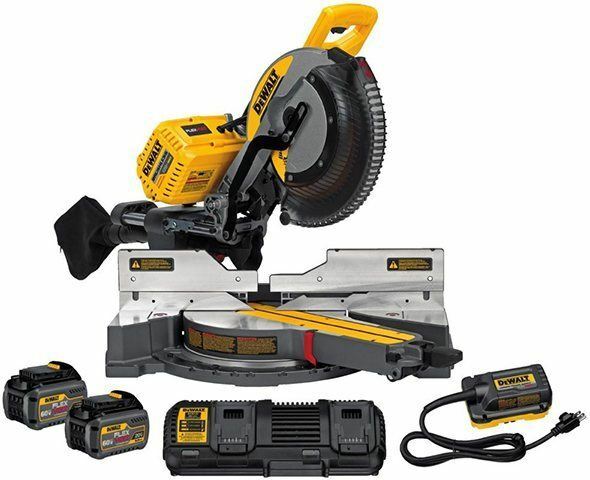 This is mainly a circular ﻿﻿saw mounted on an arbor and it is usually driven by a motor. 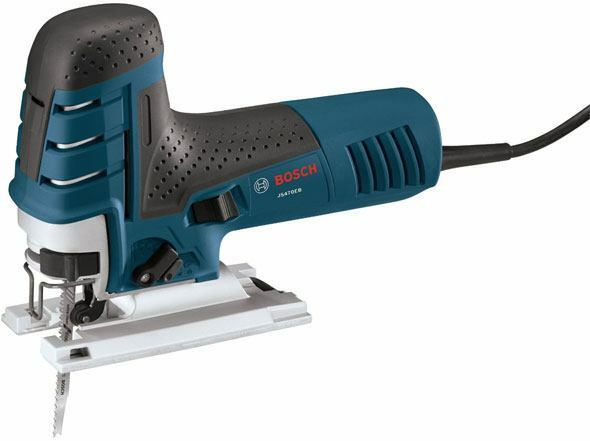 It is considered to be one of the most dangerous power tools used in woodworking. That is why it is advised to unplug it when you are squaring up the blade with drafting square and to make sure that the safety guards aligns with the blade at all times. The rip fence should never be used as a cutting guide as it can cause serious kickback hazards. 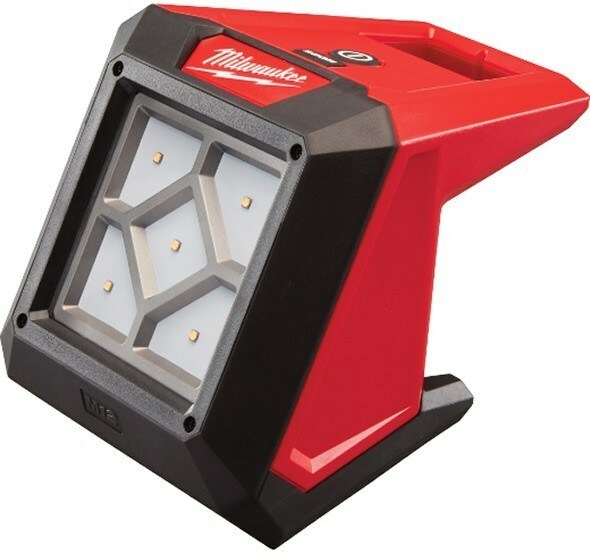 This is one of the most essential tools that is used in gas stations and in big plants. It mainly converts electric energy into potential energy that is stored in compressed air. 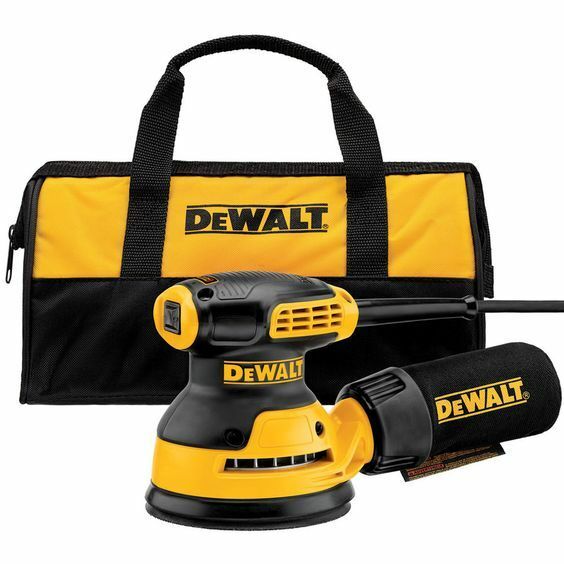 There are many types of air compressors that can be used for different kinds of jobs from inflating pool toys to powering tools like nail guns and staplers. This is mainly used to make accurate crosscuts in woodwork making it one of the best tools any woodwork lover should have. It features blades that move left and right for angled cuts while it tilts only in one direction for bevelled cuts. It should be handled and manipulated with care. 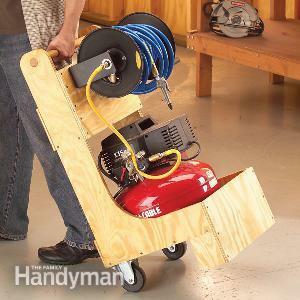 This probably sits at the top of the power tools list because it is essential for any woodworking project. 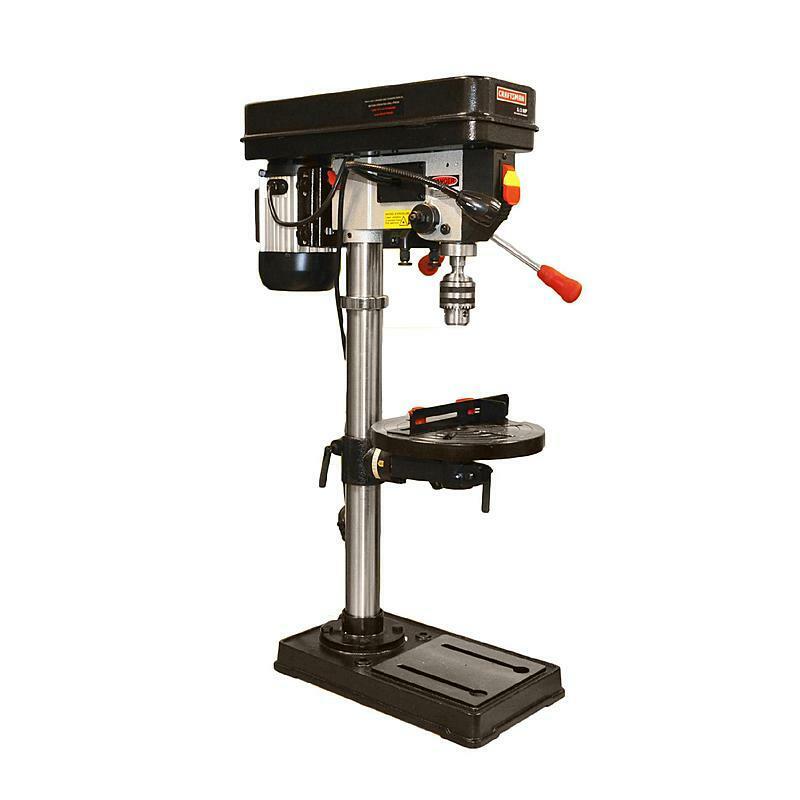 This is a fixed style of drill that is usually mounted on a stand or a work bench. It is used to make holes through various materials. It is easier to use than a handheld drill because it requires less effort to function and the table provides a safe place to restrain the material being drilled making the drilling process more secure. This is a must have tool that rotates the work piece on its axis to perform operations like cutting, sanding, drilling or turning to tools applied to create symmetry in the final design. There are mainly three ﻿﻿types of lathes that are all used to create the best wood work. 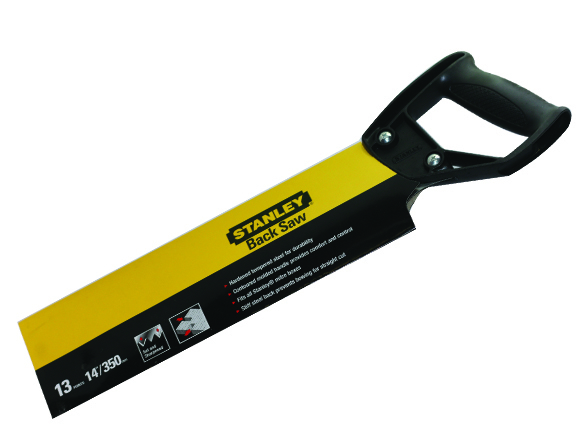 This is mainly used to trim wooden boards to be of the same thickness for woodworking purposes. The industrial models are able to accept very large boards and to remove big chunks of material in one single pass but a small one is essential to have if you are a woodwork enthusiast as it will make your wooden boards of the same size and flat on both sides. This is a circular ﻿﻿saw attached to a sliding horizontal arm that is used to cut wood. It is one machine that allows for a number of operations normally would require many specific machines. Although many people think that this machine is rather obsolete﻿﻿, some experts disagree but encourage people to the machine properly so that it is safe to use. This is a small ﻿﻿electric ﻿﻿saw used to cut curves. It is used for more delicate and precise cutting than a jigsaw. 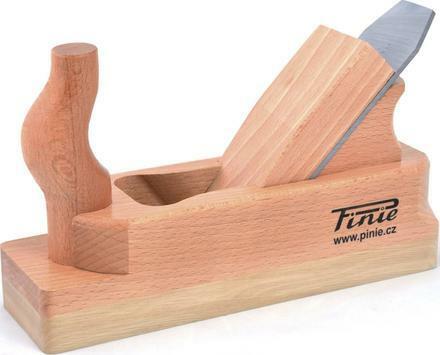 The fine blade is perfect to work with thin wood for creating beautiful woodwork. Today’s models come with different speed options and throat capacities. You must learn ﻿﻿how to use the scroll saw in order to create fine wood art like miniature furniture and other small and detailed designs. 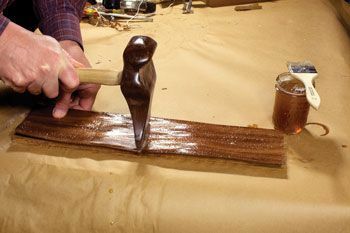 This is one of the best DIY tools that allows you to shape and finish wood in order to use it for various DIY ﻿﻿projects. Sand paper is mounted on 2 drums that are turned by an electric engine. 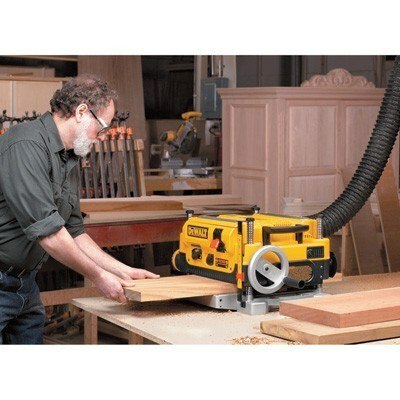 A belt sander could be handheld and you can move it over the material or it could be fixed and the material is going to be moved over it. 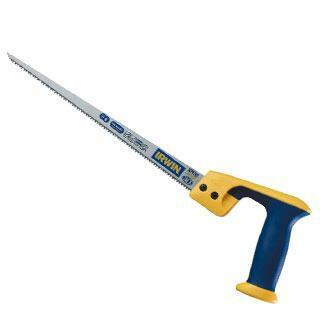 This is mainly a saw with a long sharp blade that is made from evenly toothed metal. It is used for uniform or irregular cutting. The machine is highly versatile and can come in different sizes or offer different numbers of teeth per inch. This machine is used to produce a flat surface along a board’s length. 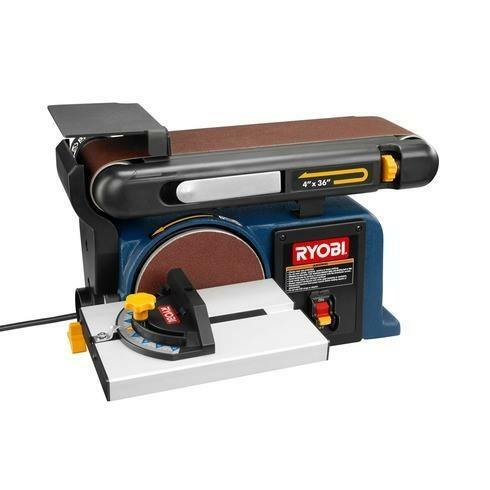 The power jointer is one of the most essential tools to use if you want to work with rough lumber as it is used to flatten the surface and square up the edge of the wood. 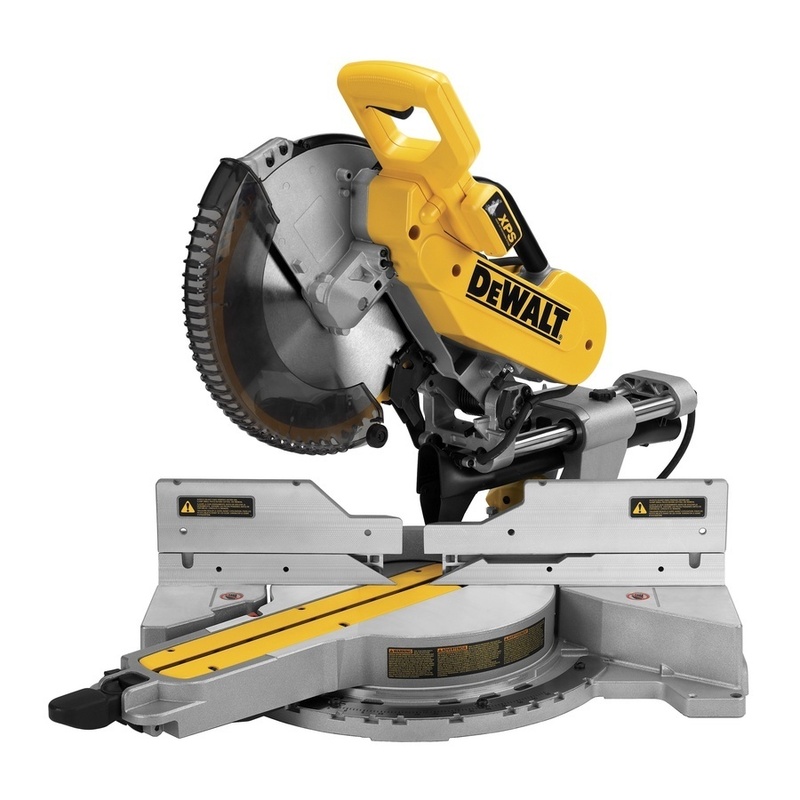 This saw uses a disc or a blade to cut the wood using a rotating motion. There are some handled types and others that are mounted on tables to cut the wood with precision and ease. The tips of using ﻿﻿the ﻿﻿﻿﻿circular saw are easy to learn but essential if you want to have quality wood work. These are the most basic kinds of ﻿﻿saws that are used to cut wood into different shapes. The come in different sizes for different kinds of woodwork. They have sharp blades and have been used in woodwork for thousands of years. This is one of the best tools to own. Routers are used to create hollowness in a woodwork design. With this tool you can shape and trim edges into a number of shapes. 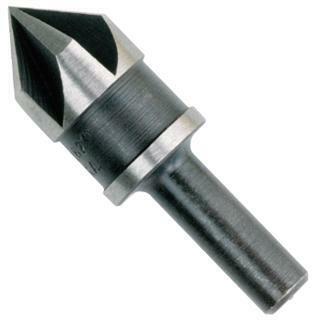 There are a lot of types of router bits available that are suitable for different uses and designs. But you can start with the most basic router bits and then buy more as you become more experienced. Having quality woodwork requires symmetry and dedication to improving the details. This tool can be used for multiple purposes depending on the attached head, but mainly it is used to check 45 and 90 degrees angles. 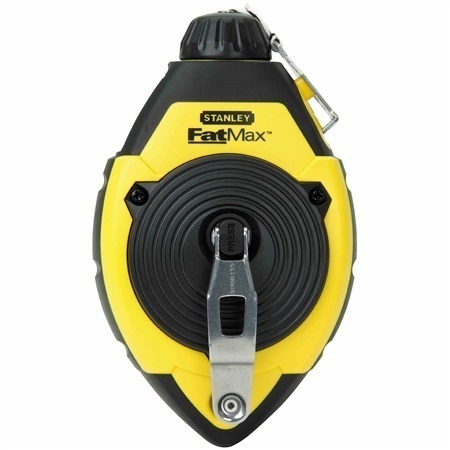 This is one of the most must have woodworking ﻿﻿tools and it is quite impossible to have a good piece of woodwork without using the tape measure at some point. As the name suggests, this flexible ruler is made from plastic, fiberglass or metal. 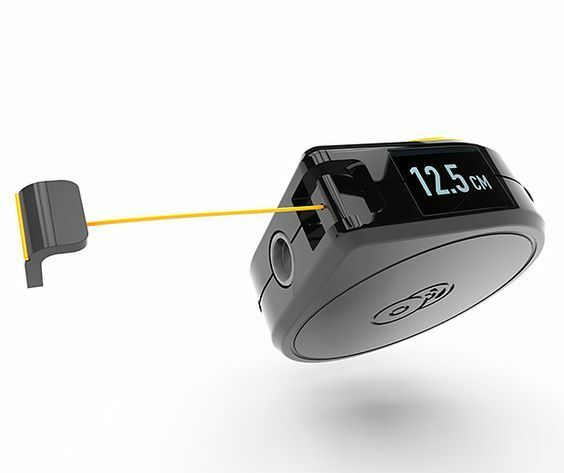 It can be used to measure around corners or curves. Sanding ﻿﻿woo﻿﻿d involves removing the top rough layer to expose the smoother layer underneath. 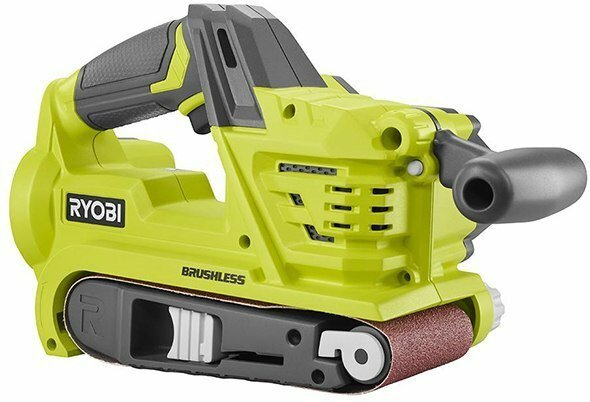 This is a handheld power tool where the sanding blade works in an orbit action to finish and sand wood for woodwork. It is used to provide very fine finish to the wood. 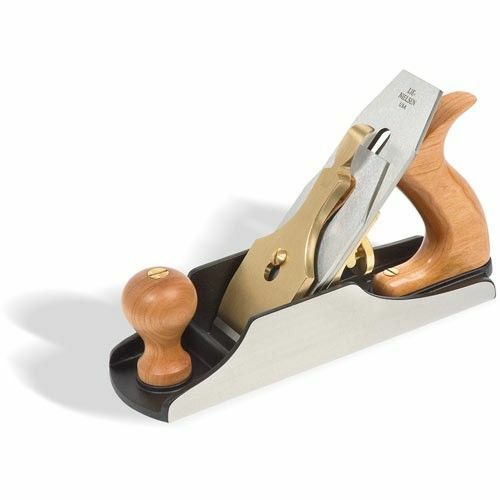 This is usually the last plane used in woodworking because it provides the smoothest and finest finish before the wood art is ready to use. 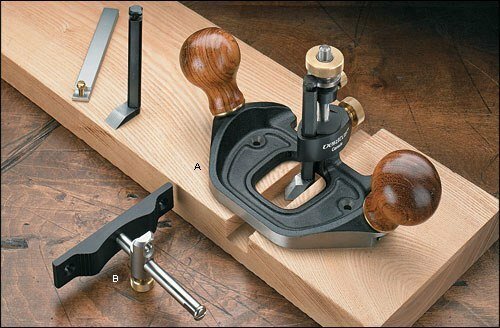 You need to learn how to choose ﻿﻿the ﻿﻿right smoothing plane in order to have the right finish for your woodworking projects. This is usually handheld with one hand and used to cut end grain. The blade is set at a shallow angle which enables it to cut through end grain efficiently and easily. 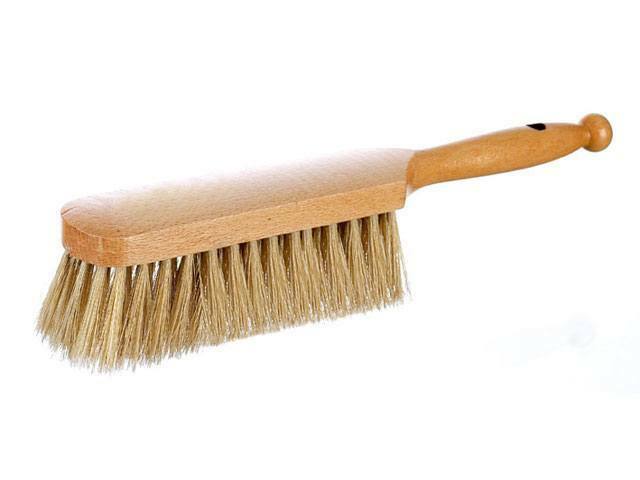 It is mainly used to clean up woodwork by removing shavings of wood. Routers are used to create hollowness in the woodwork. 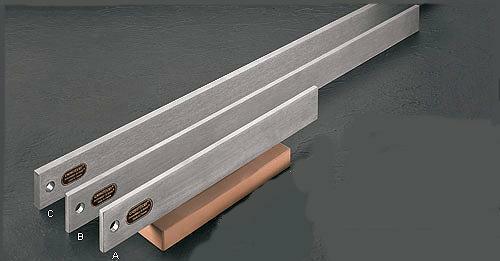 Router joints are mainly used in cabinet doors and panels. They are used to join wooden boards into a solid panel. 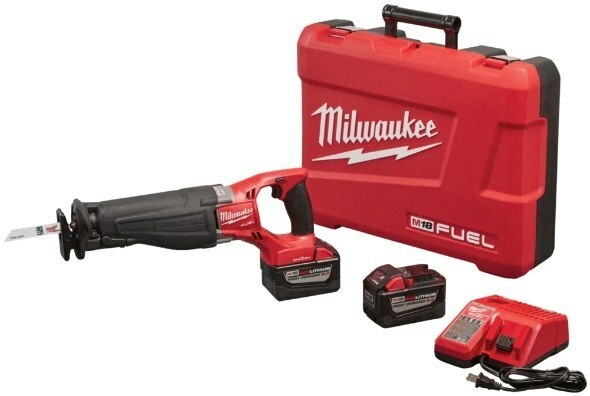 A quality toolbox with tools is most likely going to contain a chisel. It has a blade on one end for carving or cutting as it is struck from the other end by a hammer or by a hand. They come in different shapes in sizes to cut through different materials with different forces. This is an essential tool for woodworking projects. It is mainly a wooden hammer that has a relatively large head and used to drive chisels or to knock wooden pieces together. It won’t change the shape of the metal tool and will leave no dents. This tool delivers a sudden blow of force to an object. It is usually used to drive nails, to fit parts or to break apart different objects. Although hammers are mainly handheld tools, power versions do exist nowadays. 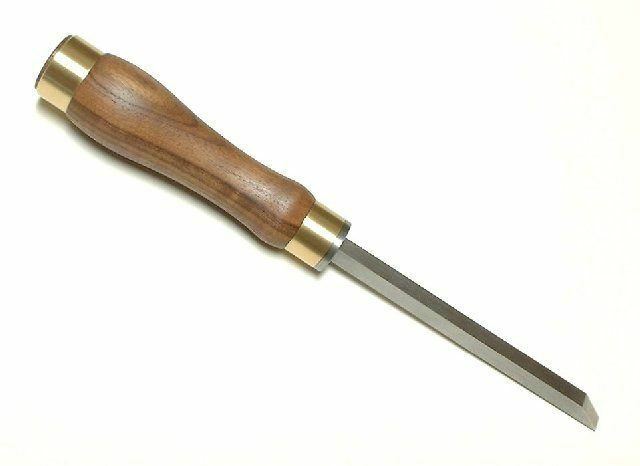 This is a tool used to drive or remove screws from woodwork. 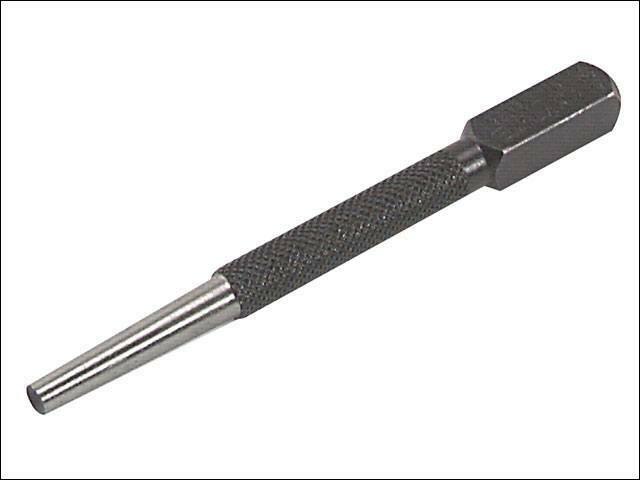 A screwdriver usually has a handle and a shaft that has a tip to be inserted into the screw to move it. There are different ﻿﻿types of screwdrivers available that every DIY lover should learn about in order to choose what best works for him. This is mainly a workbench where woodwork is made. The design can be either a very simple flat surface design to a very complex one. They can be really tiny or huge depending on the size of the woodwork made. 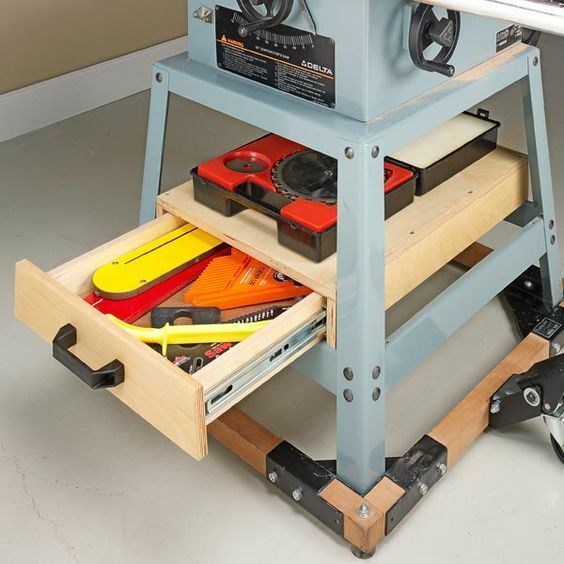 Having a workbench is great but is you are tight on space you might need to looks for something else. This is some kind of work bench but could be smaller in size. It is also used as a work surface. It will enable you to use your tools and have your woodwork set in a comfortable way without occupying unnecessary space. 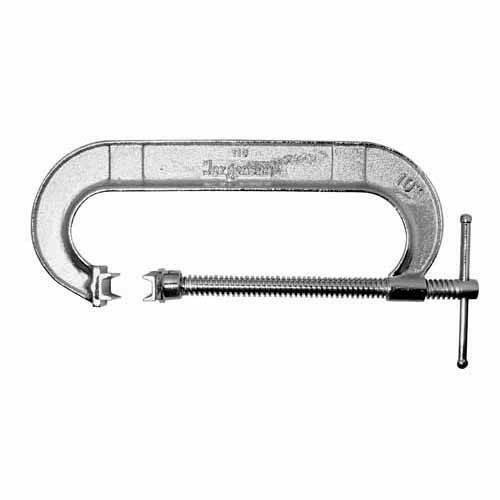 This is a useful tool that is used to hold and secure objects together so that they don’t move while you are working on them using saws or sanders. Without using clamps applying inward pressure can be a dangerous hazard as the tools might move on unwanted surfaces. This machine is used with a fence to remove parts from woodwork or without a fence to remove parts from the wood piece to resemble a template. ​The jigsaw is mainly an electric ﻿﻿saw that can cut angles. The blades are arranged according to the TPI number which is the number of teeth per inch, with the finer blades suitable for fine and delicate cutting. It can be easily controlled to cut even the smallest and finest cuts. This is a tool that is designed to make holes on a wood surface. It is run by electricity. The depths of the holes and the drilling power depend on the strength of the engine and the tip of the metal end used to create the holes. A miter is a joint that is made by beveling each to 2 parts to be joined. That way 2 45 degrees angles are joined together to form a corner or a 90 degrees angle. 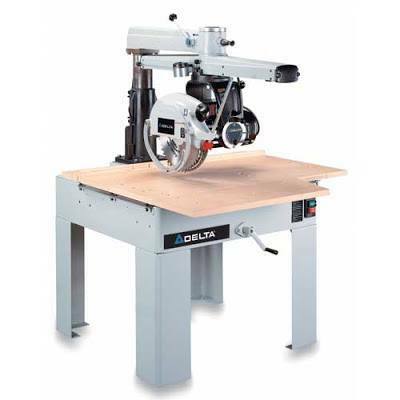 A miter saw is used to create cross cuts and miters in wood for woodworking projects. This one is not run by electricity. Sanding your woodwork is essential if you want to have a beautiful piece that would last for long. 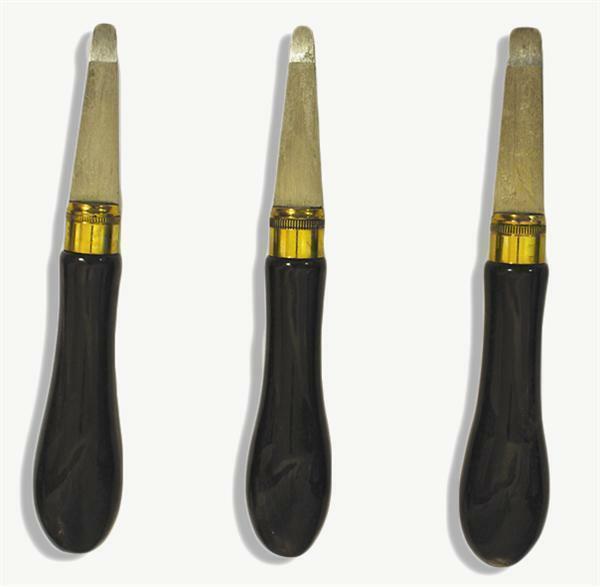 These are small hand held sanders that are suitable for finishing and sanding delicate woodwork and small pieces of wood art. They can be used to sand and strip furniture pieces. This is another sander that must be used to give your wood a smooth finish. 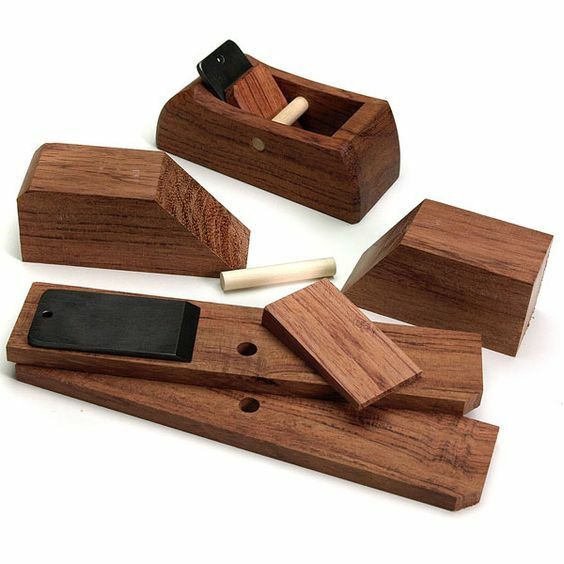 These are ideal for tight spots like chair handles and slots or grooves. They sand and finish the wood easily to provide a smooth finish. There are different types of ﻿﻿﻿sanders to suit different types of woodwork and DIY projects. These are ideal for sanding even areas like doors and tables. They are especially perfect for rough sanding of big areas. Removing nails from a wooden surface can be a total nightmare. If you don’t do it properly you might even break some of the wood. 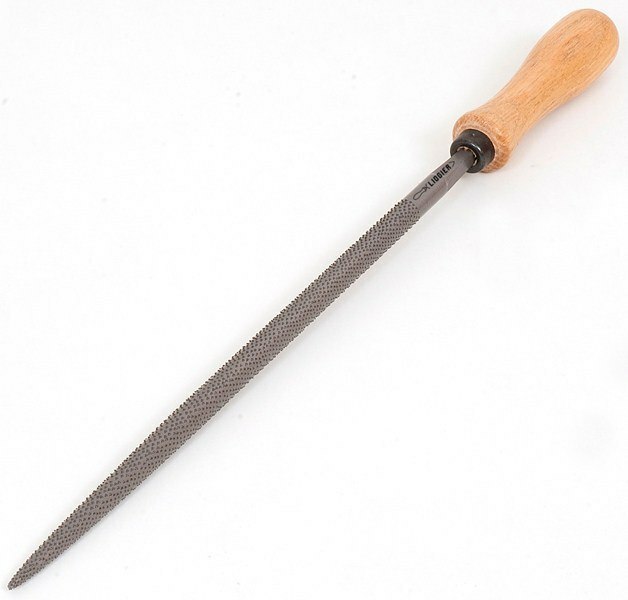 This tool is mainly used to remove or extract nails. It can also be used to pound nails into the woodwork for different woodworking projects. They are usually brittle and shouldn’t be used for heavy hammering. This tool ensures that the wood used in woodwork is either completely vertical or horizontal. There are 2 glass encased bubbles on end of the level. If the bubble settles in the middle then the wood is level. 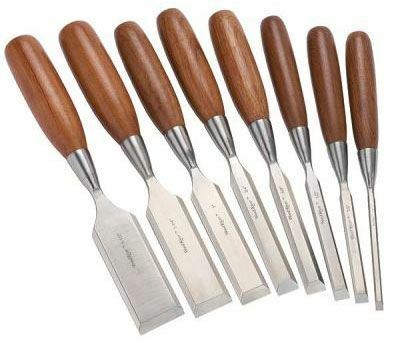 This is a set that includes a different number of chisels that can be used in different diy projects. 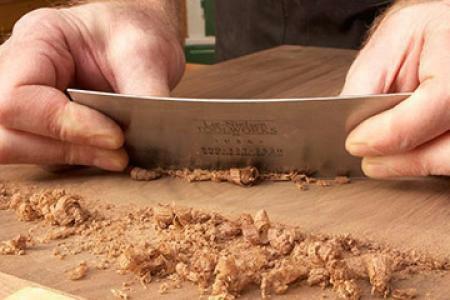 The size of the blade will determine the end result of using the chisel on your hardwood. This tool is used to copy a certain angle to the ﻿﻿woodwork﻿﻿. 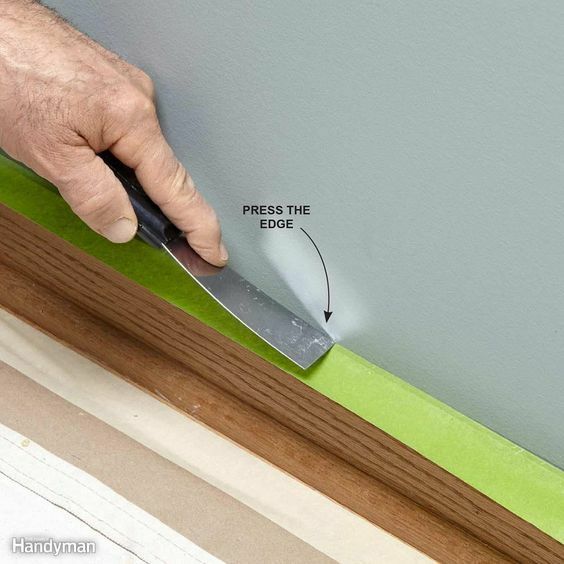 The edge of the blade is rotated until it matches the existing angle then it is tightened until it is secure in position then the angle is transferred to the woodwork surface. 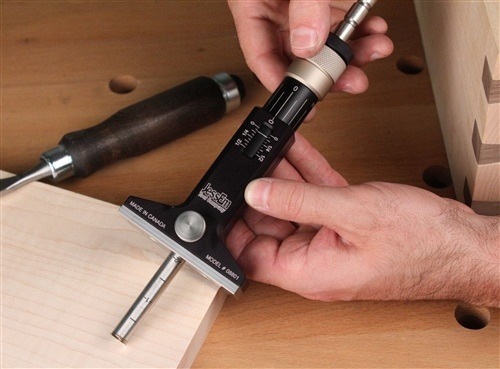 This is a must-have tool, whether you are into woodworking or not. A utility knife is used for different purposes but it is mainly used to mark or cut. 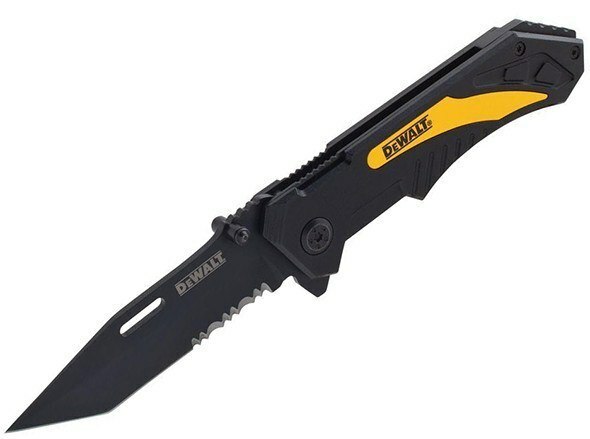 Some of the most popular utility knives are the retractable or folding utility knives. These nails are very easy to use and don’t require a hammer. 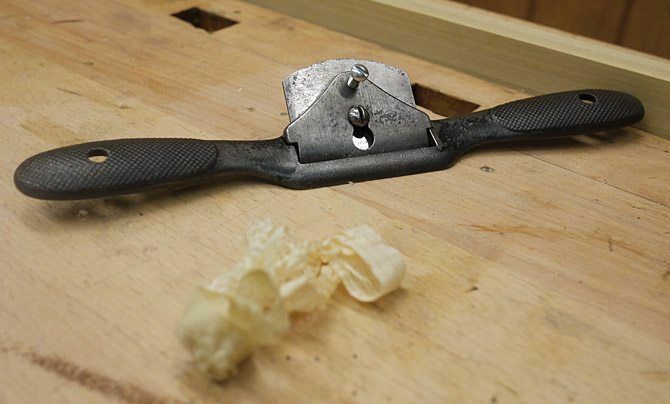 A punch is placed on a nail head and pulled back so that the pressure will drive the nail through the wood surface. They are perfect to use in areas where using a hammer might not seem feasible. Different cuts in the wood require different saws. This is a type of saw where the cutting action is achieved through a push and pull mechanism. 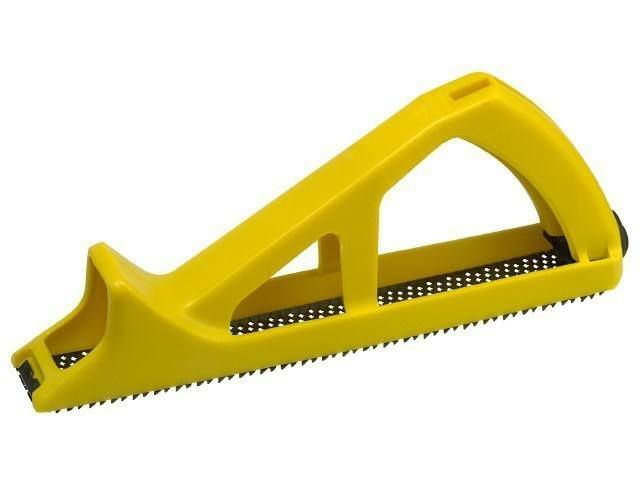 It has a large blade and a handle that allows it to be used on vertical surfaces. 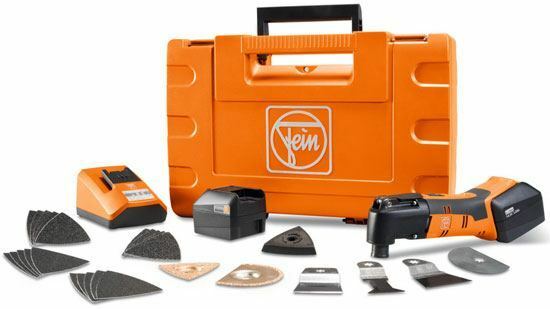 This is a variable speed tool that is used for grinding, cutting and sanding. Its low torque allows for better control and increased safety while completing the task efficiently. You can’t finish a good woodworking project unless you can perfectly see all the tools and all the different parts of your project. This is essential to show all the details while doing woodwork. A good light will show all the details of the tools used, too. Everyone love music and so for Woodworkers. Workside ﻿﻿﻿﻿Radi﻿o is a must have speaker that is designed specially for woodworking environment. 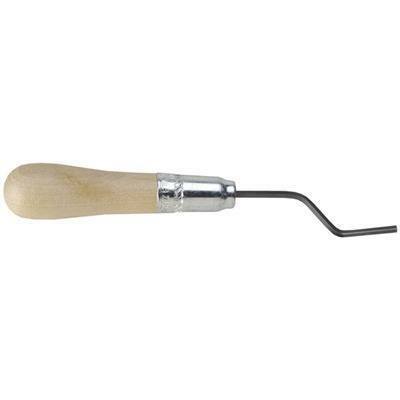 It is a special tool used to smooth putty and other soft material during woodworking. 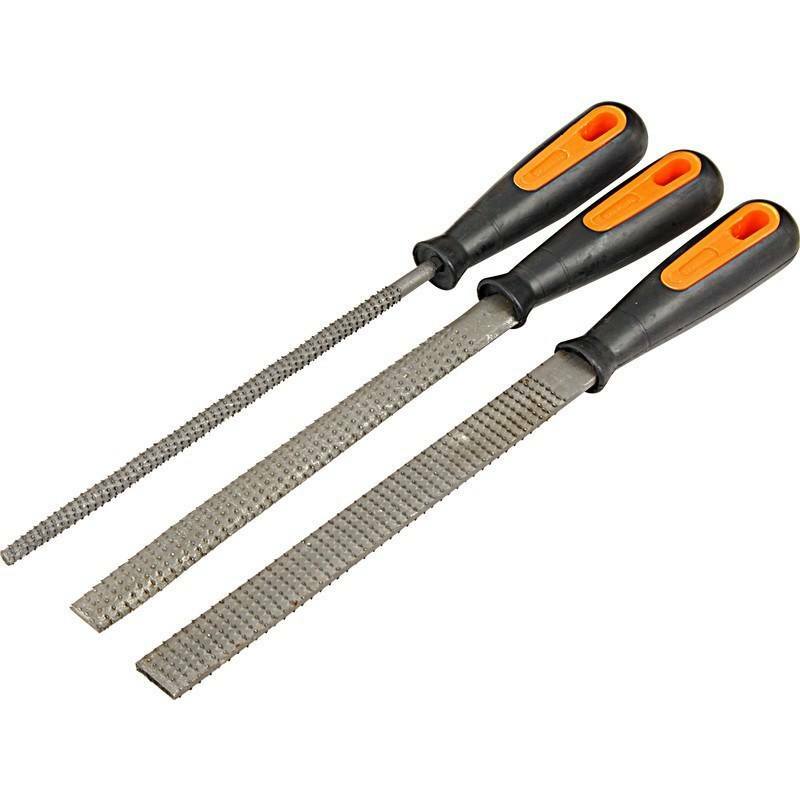 You can use these knives to apply the paste or to remove sticky stuff from your wood work surface. Using your hands to touch all the tools during a woodworking project might not be the best idea. 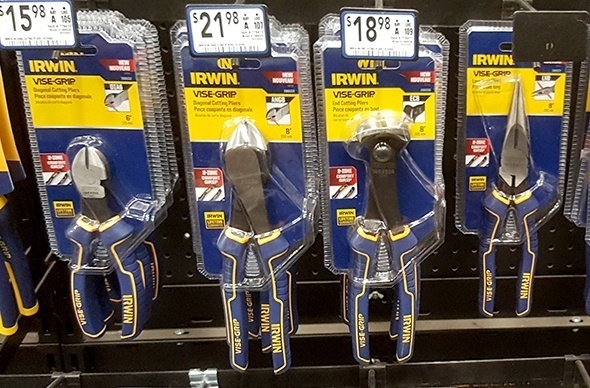 These are hand tools that are designed to hold things tightly. They can be used to bend them or to secure cords. 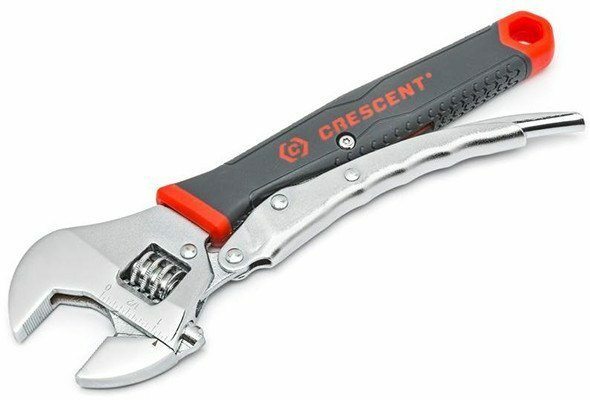 This is a wrench with an adjustable jaw that can be fastened to secure different objects. It is used to prevent damage to the fastener head. 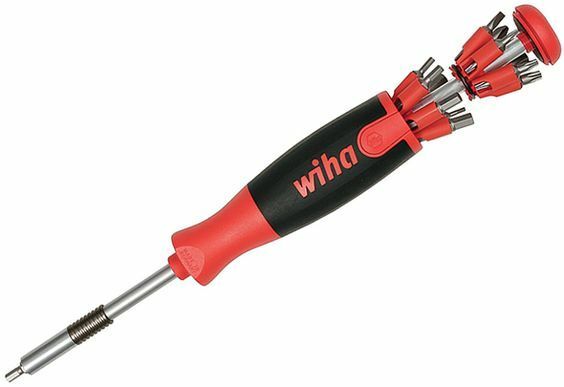 This is one of the must-have tools for mechanics as it removes the electric insulation from electric wires. It can be used to connect and disconnect the new wiring to different DIY projects and it is also used in fixing electric circuits. This tool is designed to drive bolts with hexagonal sockets in their heads. 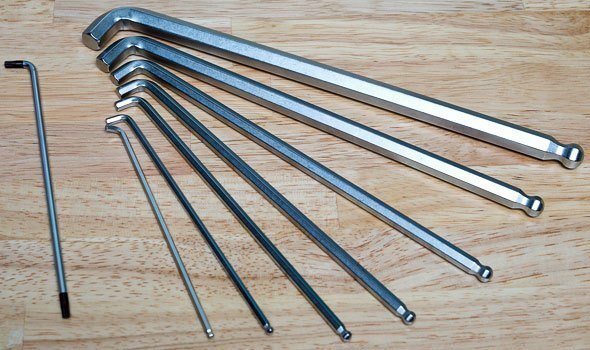 You can easily make ﻿﻿your ﻿﻿own Allen key if you urgently need one for a DIY or woodworking project. 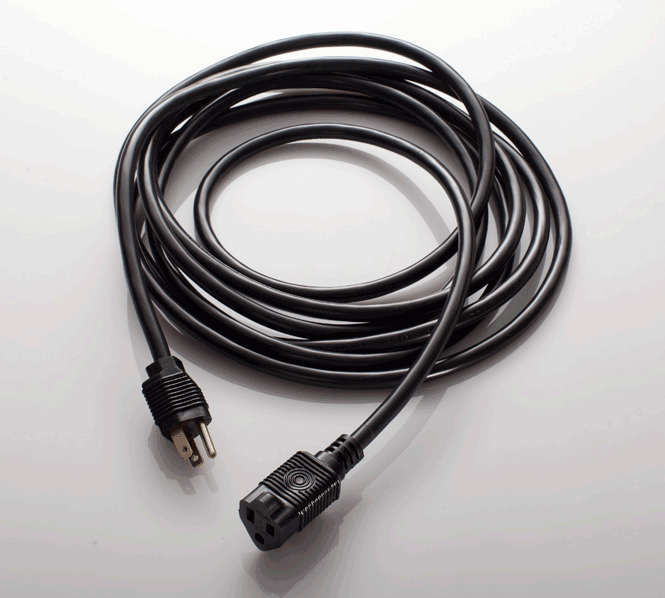 This is a cord that connects a tool or an appliance to the main electricity supply. Most woodworking tools have electrical cords. Cords should be sorted out and handled with care to avoid getting tangled and for safety hazards. You might need an extension electrical cord if you want to connect your power tools to a faraway electric socket. This tool is used to secure woodworking pieces for safety purposes. To avoid leaving marks or dents, pieces of scrap wood should be used between the edges of the frame and the wood surface. This means that the scrap wood will receive all the damage from the clamp. This is a portable handheld light that can be used around woodworking projects to see all the tiny details and for safety purposes. It could also be hanged by means of a cord to shed light where needed while you can have your hands empty to attend to other aspects of the work. This tool can be used to get access to high objects. Standing on this stool allows you to attend to different kinds of wood work while holding drills or wrenches because your feet are secured. You can work on the top of cabinets or cupboards with ease. Cleaning up after finishing your woodwork is essential for safety purposes. Leaving wood shavings, broken pieces or bits of wood can subject you to injury. You also need to clean everything up before you move to a new project to see if you dropped any nails or screws. 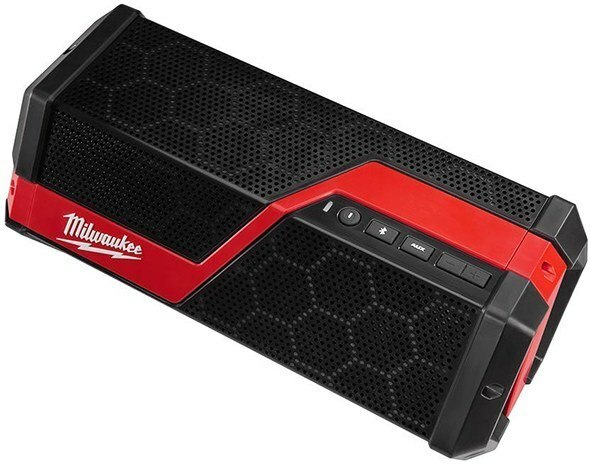 A Bluetooth speaker is a high quality tool that is essential to have on working site. 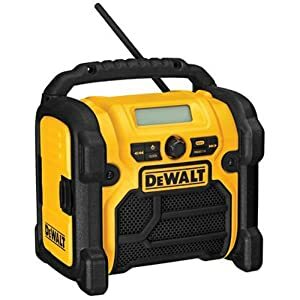 It is a great way to spread instructions or to alert people in a noisy workplace with tens of noisy power tools in action. Using a regular saw to make delicate woodcuts is not the smartest move as it may break or damage the wood. 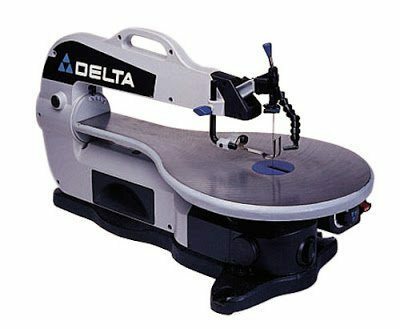 This saw is used to make accurate and precise cuts in thin material like plywood without having to have a pilot hole. It is usually used to make cut outs in different woodwork pieces. 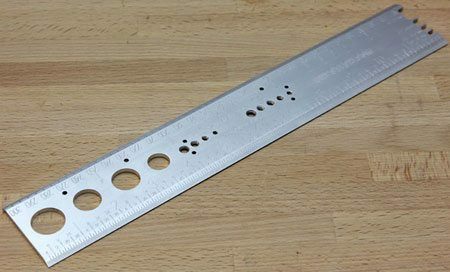 This DIY tool is used to fit any regular ruler. 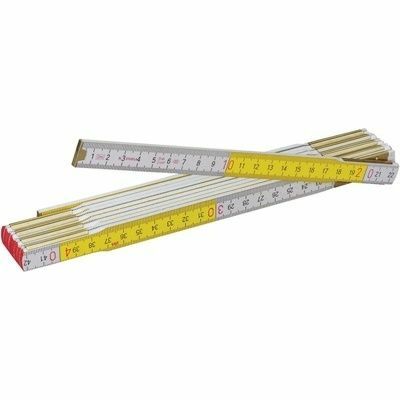 You can use a ruler to take marks and this tool will keep the ruler secure so that you take various marks for comparison and to make sure that you measuring are accurate and precise. This is a must have tool because you can easily use it to measure the length of wood work and the accuracy of right angels. It is also used to measure the straightness of one surface compared to another adjacent one, making it very important to have a professionally finished woodwork. 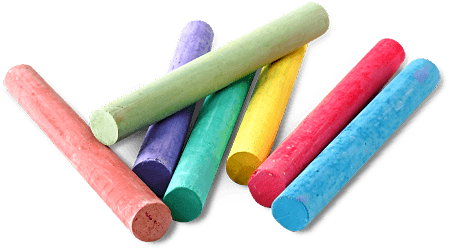 Chalk is used in woodworking and DIY projects to take marks on the pieces of wood. 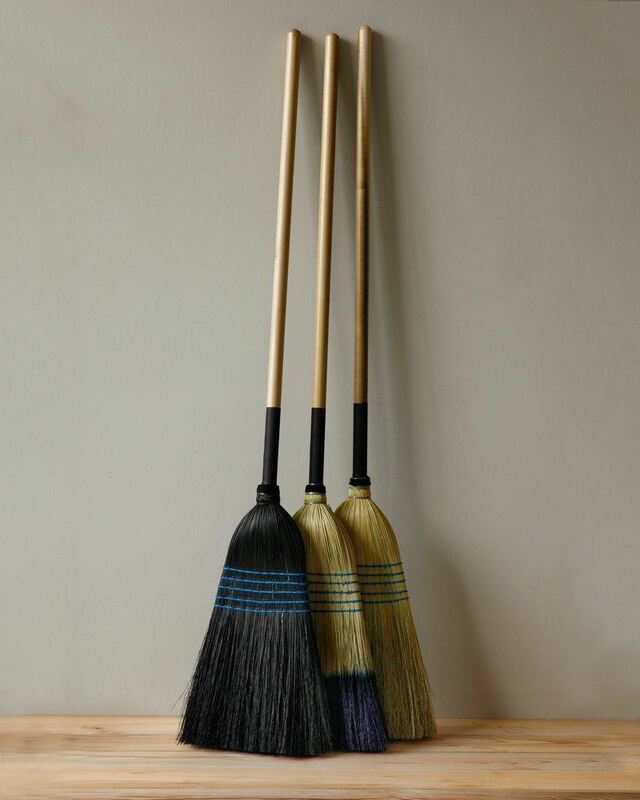 It is widely used because it can be cleaned off the wood easily without leaving any marks or traces. 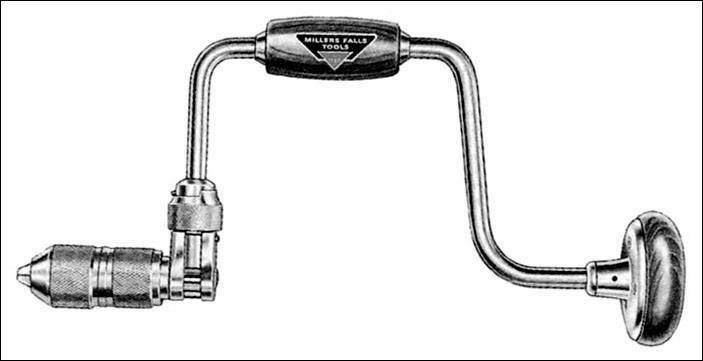 This tool is used to make straight chalk lines that are very hard to obtain using the chalk by hand. It is very useful to use because the lines are drawn by means of taut nylon strings that would mark straight lines even if the timber surface is not that straight. This tool is used to cut wood into different shapes and is used usually before the wood is stuck and brought together for a woodworking project. The blade is made from a material that is harder than the wood being cut and the cutting action is done by means of hard points on the blade. A rip saw is a saw that is designed particularly to make rip cuts that are parallel to the direction of the wood grain. The edges are sharpened at right angles so that each cutting edge has a knife-like cutting point that comes into contact with the wood. Woodworking equipment and work bench should be kept clean at all times. For this reason having a bench brush is very important if you want your tools to look and function well. 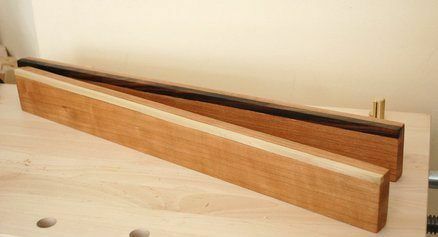 Dust and other debris might settle into the openings of your woodworking tools and sometimes dust can ruin the look of your woodwork artwork. For this reason, everything should be cleaned with a reliable bench brush before you move on to the next task. 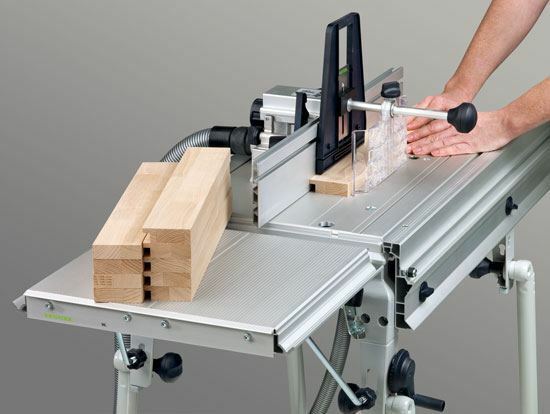 A saw bench is a wooden structure that you can use to support your woodwork as you cut through. It is also an excellent clamping surface and you can easily secure and clamp your work. You need to know how to secure your work and use the saw bench﻿﻿ in order to achieve the best results. 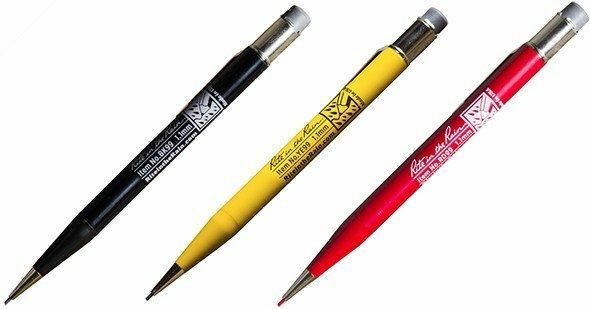 As simple as it may sound, a pencil is one of the most essential woodworking tools. You need a pencil to write down measurements, remarks and notes related to your woodwork construction. You can also take marks on light colored timber using a pencil. 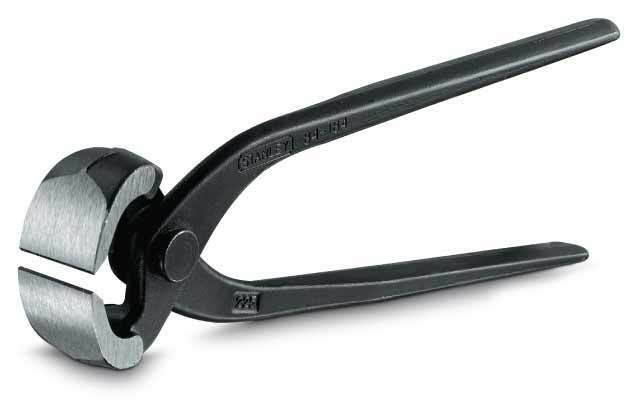 This is one important tool that belongs to the hand tools list. It is used to draw a line on the wood that would be later followed by a chisel or saw. One side is sharp and the other one is kept straight to function as a ruler. This is a bench plane that is mainly used to smooth the edges of timber and to bring it down to the correct size. The edge could be either slightly curved or straight. 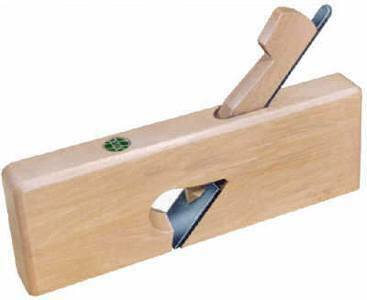 This is a handheld plane that you can use in joining which is mainly straightening the edges of boards. It’s big enough to cover the entire wood surface to completely flatten it. These are also called sharpening stones. They are used to sharpen all metal tools needed to finish a woodwork project. They can easily sharpen scrapers, plane blades and chisels. 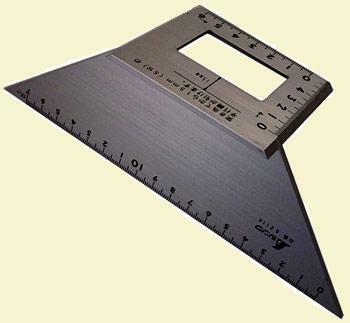 This is an invaluable tool that is free from holes and curves and used to draw straight lines and measure how straight they are. It is used to check the flatness of the woodwork and the straightness of the surface. 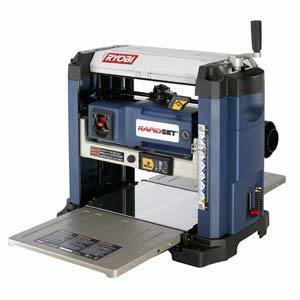 This is an essential tool to have symmetrical and high quality woodwork. It is used to mark out lines where the cuts are going to be while working on a DIY wood project. It is supposed to mark the line parallel to a reference edge or surface. his one looks very similar to a marking gauge but has a larger headstock and a longer beam. 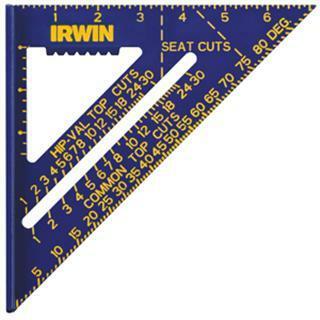 This enables it to scribe lines that are further from the reference edge than that needed for a marking gauge. It is important to use it prior to cutting to ensure that your cut is made at the right place. This is another handheld tool that is not to be ignored on a woodworking project. 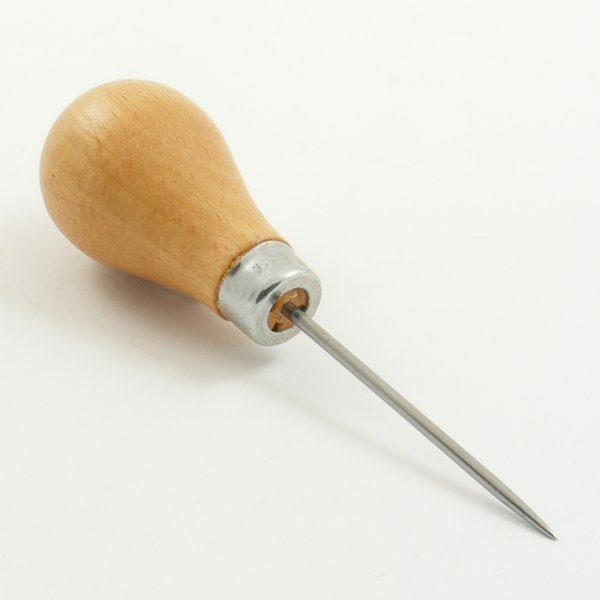 It looks very much like a screwdriver but the tip is straighter and the handle is usually made of wood or plastic. This tool is used to make an indentation on the surface of the wood to make the insertion of a screw or a nail much easier. 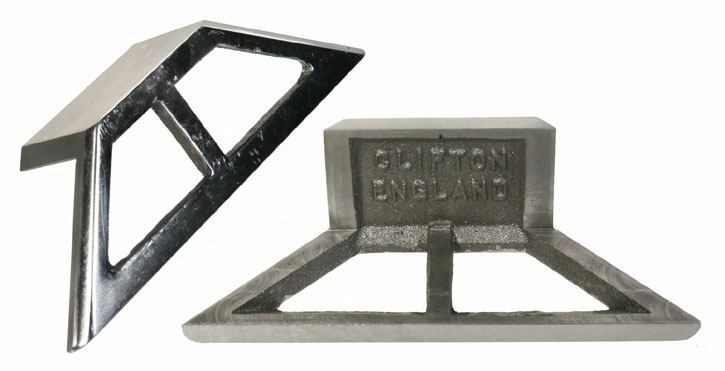 This can be used to clench or straightening nails before or after they have been nailed to a wood piece. You just put this piece of metal on top of your nails and hammer down until the nails change shapes. A broad chisel is going to prove handy when you want to scrape some stubborn glue off your wood. It will keep your wood surface clean so that it can be later worked with and finished into beautiful pieces of art. 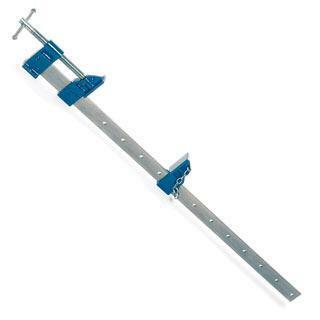 This is a thin flexible saw that has been mainly used in the past to make window sashes. Today it can be used to free any wooden pieces that have been painted shut. It is fine and won’t harm the wooden surface. 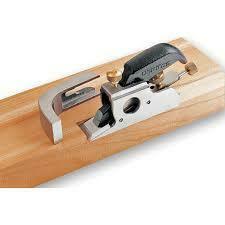 This tool is typically used on a workbench in combination with a hand plane to trim the boards. 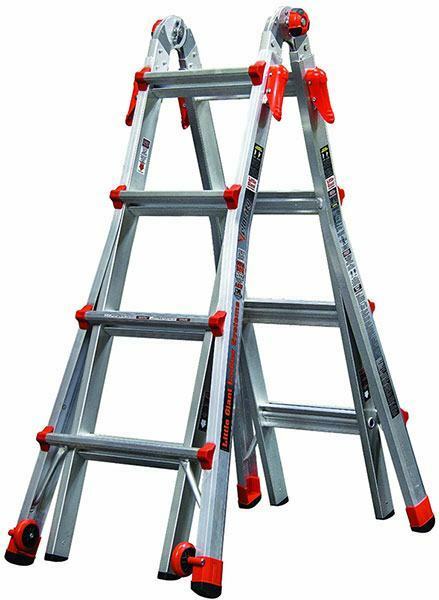 It is mainly to square up the edges of wooden boards that are used in DIY or woodworking projects. It can be used either for end grain trimming or jointing. This is another tool that is used on a workbench. It is used to offer something that would stop the wood from moving as you are working on it. 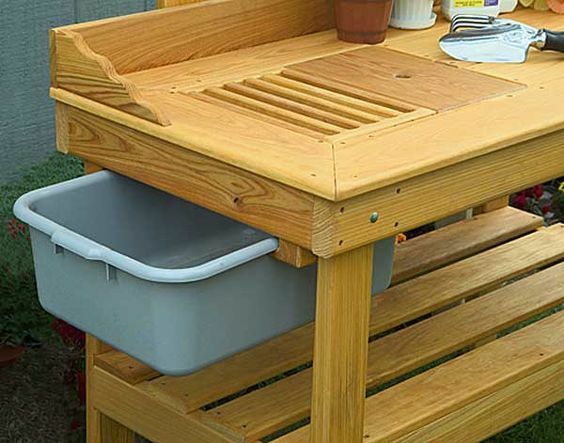 This will hold the wood securely in its place without having to use a securing device and so will save time. 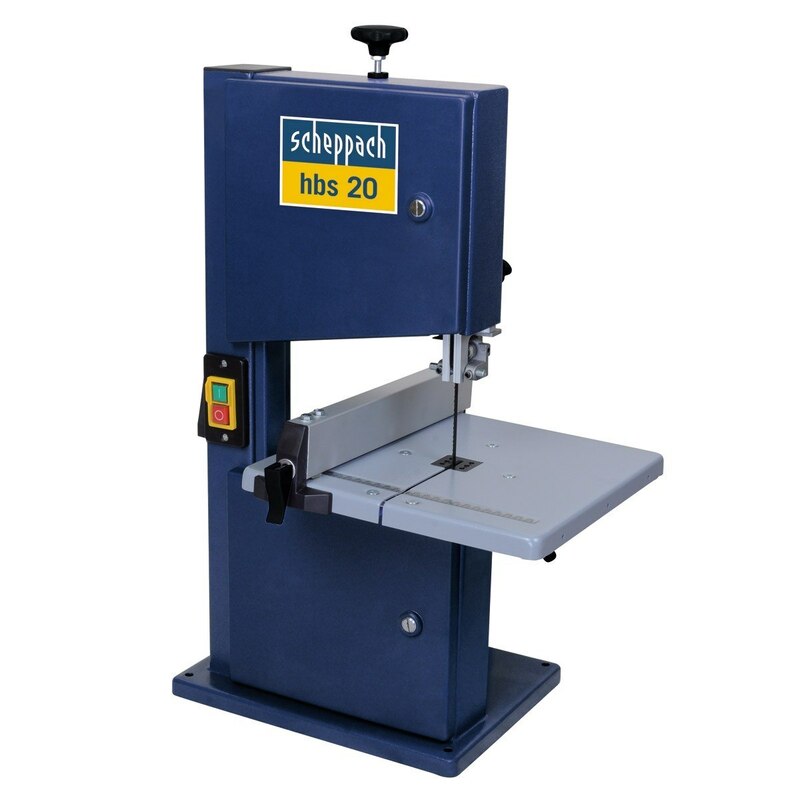 This saw is used mainly to make dovetails joinery that is mainly used in carpentry and woodwork. Dovetails are known to be resistant to be pulled apart and so they are very hard to break. This is one of the woodworking essential tools because it can be used to remove fine amounts of any material without damaging the original. A rat tail file is round at the base and gets more tapered at the end and it is used to enlarge small holes. 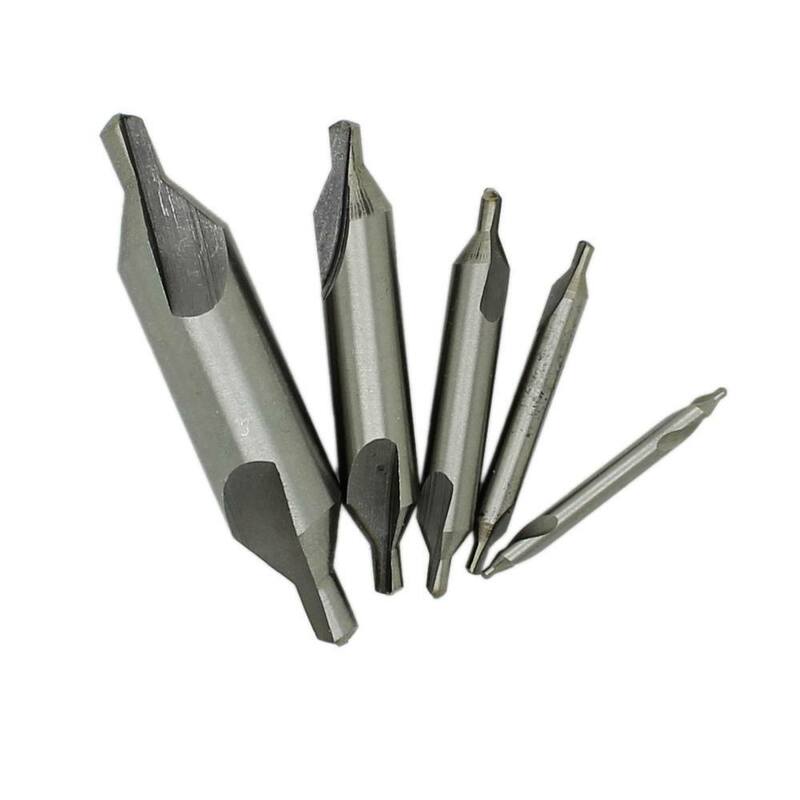 Just like screwdrivers, these can be used to turn nail heads to drive them in or out of a wooden piece. 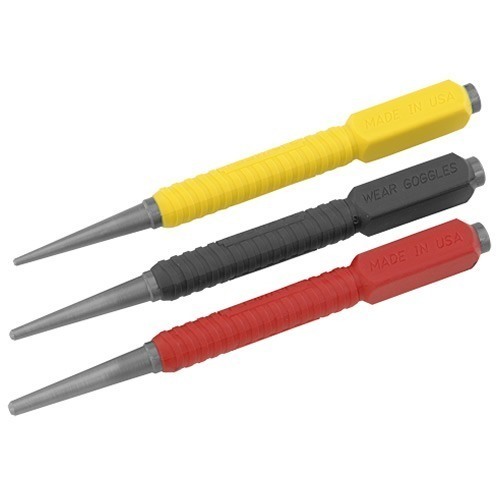 The difference between different types of screwdrivers is mainly in the tip that fits into the nail head. 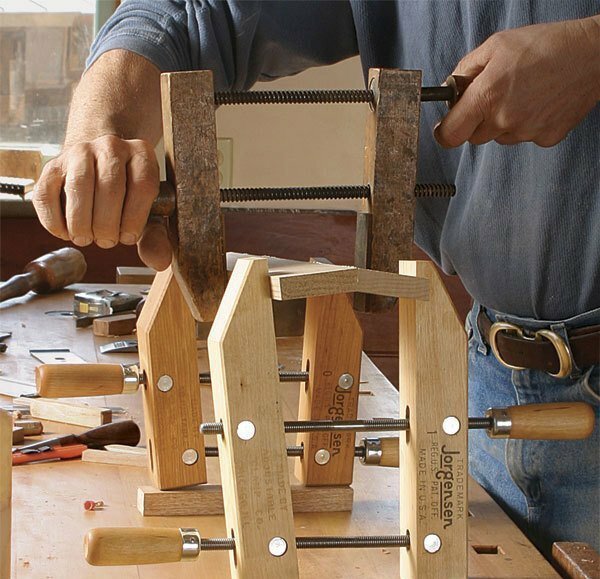 A brace is a tool that is used with a drill to drill in woodworking to make new holes. Some pressure is applied at the top and the grid of the tool is rotated in order to create a hole. It can drill much wider and deeper holes than the ones created by power tools. some DIY or woodworking projects, it is OK if the head of your nails or screws protrude a little from the surface of the wood or the lumbar. But in some cases this can cause a cosmetic problem or can even cause a safety hazard. In these cases the best solution is to countersink your screws by placing the screw lower than the surrounding material. You can easily learn how to countersink your screws so that your woodwork would have a smooth finish. This is mainly a coarse form of a file that usually has a tapered end and a handle to be held from. 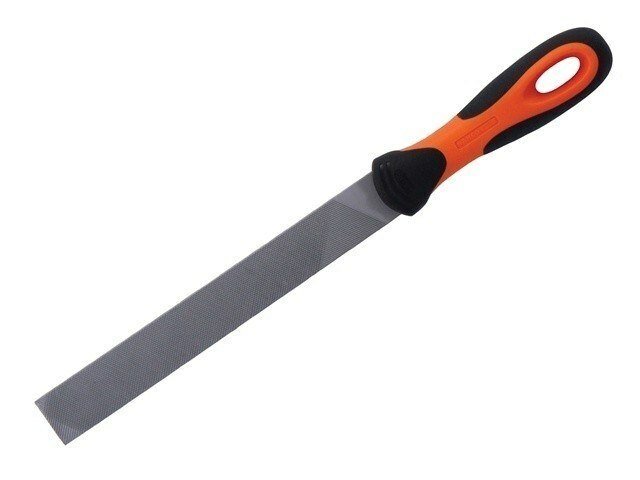 A rasp is used to rapidly remove material from woodworking pieces. The rough surface they leave can be later smoothed using other tools. 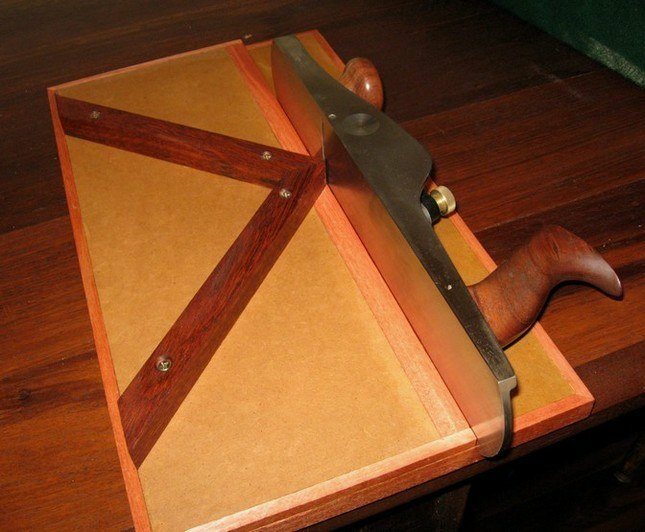 A file is a tool that is used to remove material from wood in woodworking projects. Unlike the rasp, the file will leave a finer and smoother finish. 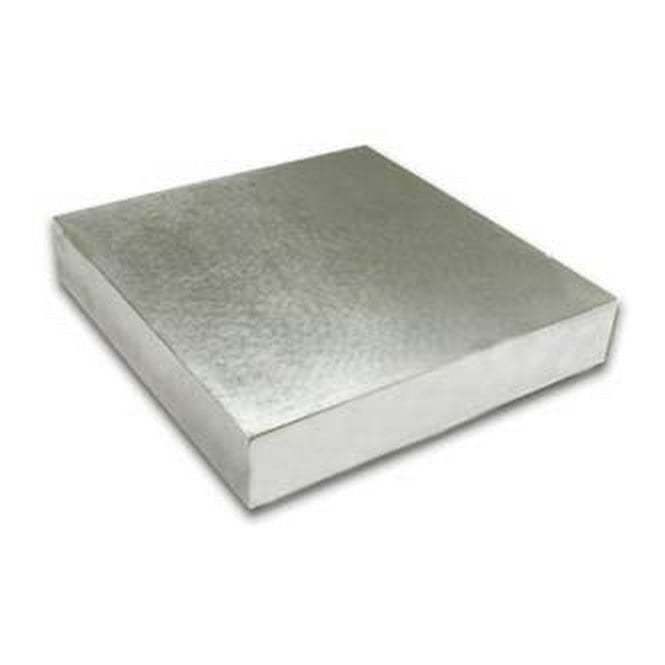 It is made from a steel bar that could be rectangular or circular in cross section. The end is tapered on one side to fit into a handle. Smoothing your woodwork involves removing layers off the wood. 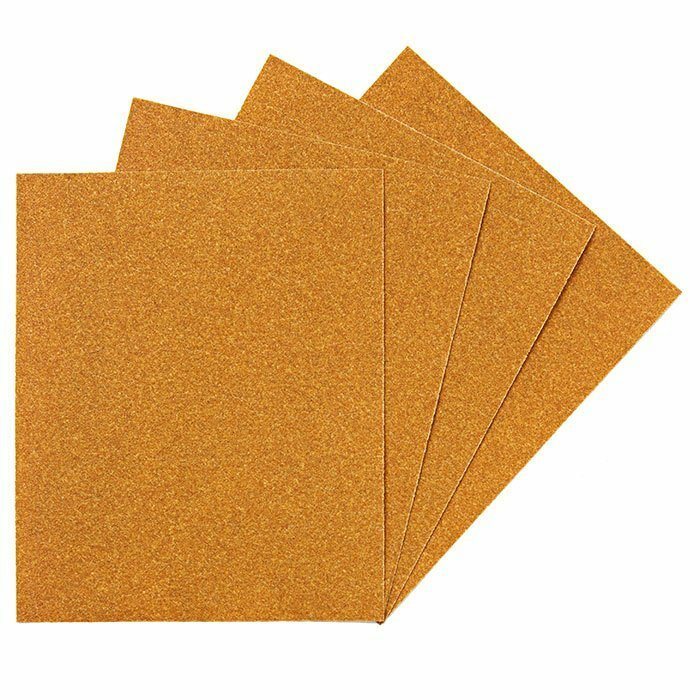 Sandpapers are usually pieces of cloth or paper that contain some abrasive glued on one side. When used manually, you are typically holding the smooth side while the rough sides gets in contact with the wooden surface to remove some rough layers off it to give it a smooth finish. 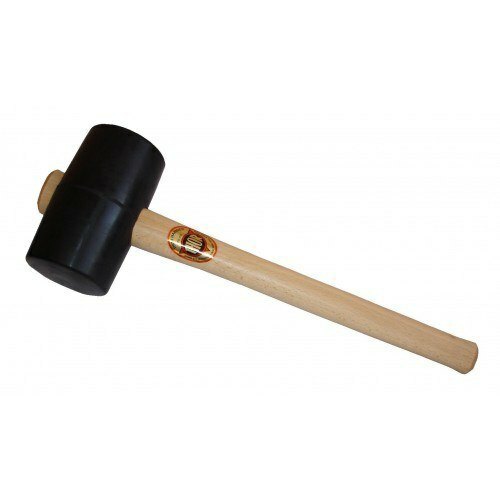 A mallet looks like a hammer but is either made from rubber or wood. It has a large head and is used to force tight fitting pieces together without leaving a mark unlike a metal hammer. The blow from a mallet is lighter than that from a hammer but is still essential in some cases. After creating a timeless piece of art, you want to leave your name to be acknowledged later on. There are a lot of ways you could stamp wood. 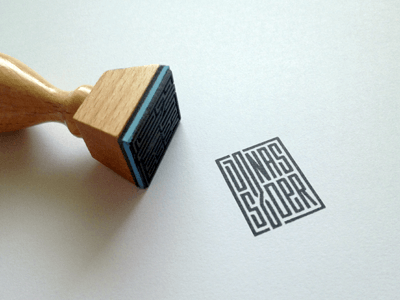 Only choose the best kinds of ink that would stay stable on your wood, or use a metal stamp to carve the letters. This is a hand plane that is used to cut grooves into a wooden surface. People have always used this tool to create grooves or rabbets that are perpendicular to the base material. 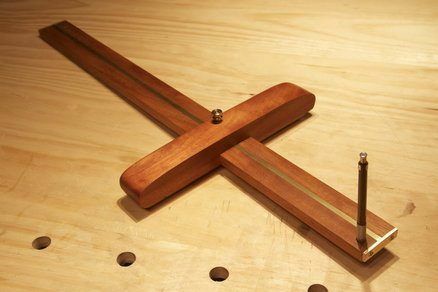 This is a plane that you can use to create grooves on a wooden surface. 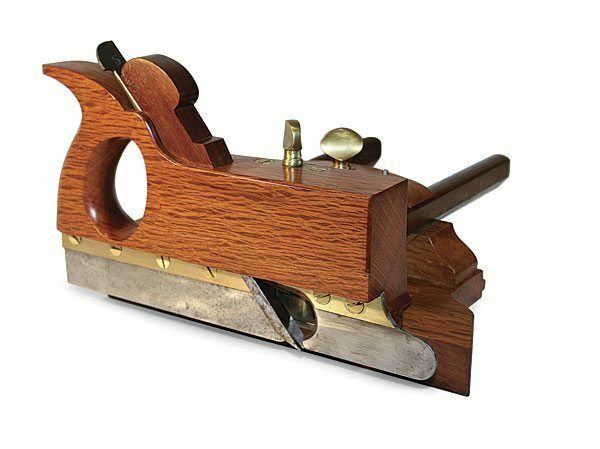 The grooves or rabbets made using this plane are usually smaller than the ones made using the rebate plane. If you are into woodworking you would know that a chisel is a must have tool that every woodworking enthusiast would love to have. A Mortise chisel particularly has a thick rigid blade with deep tapered sides and a straight cutting edge. It is usually used to make mortises and joints. Cutting wood is irreversible. 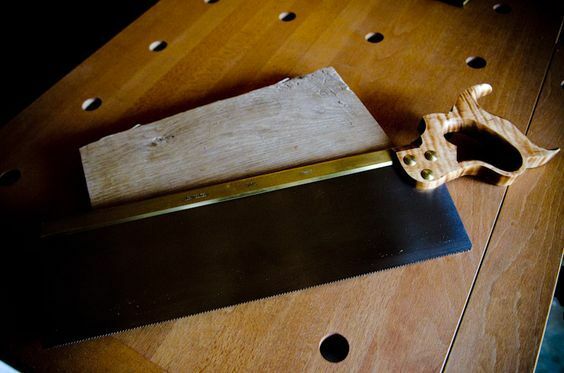 One wrong move or cut would ruin your woodwork forever and you might have to start all over again. For this reason, a gauge is the perfect tool to use. A gauge is used to determine a line for cutting later on. 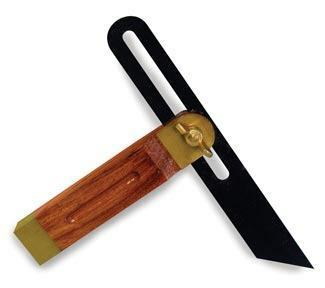 A mortise gauge has 2 pins that can be adjusted and this way it can be used to scribe 2 lines simultaneously and this is why it is widely used to layout mortises. 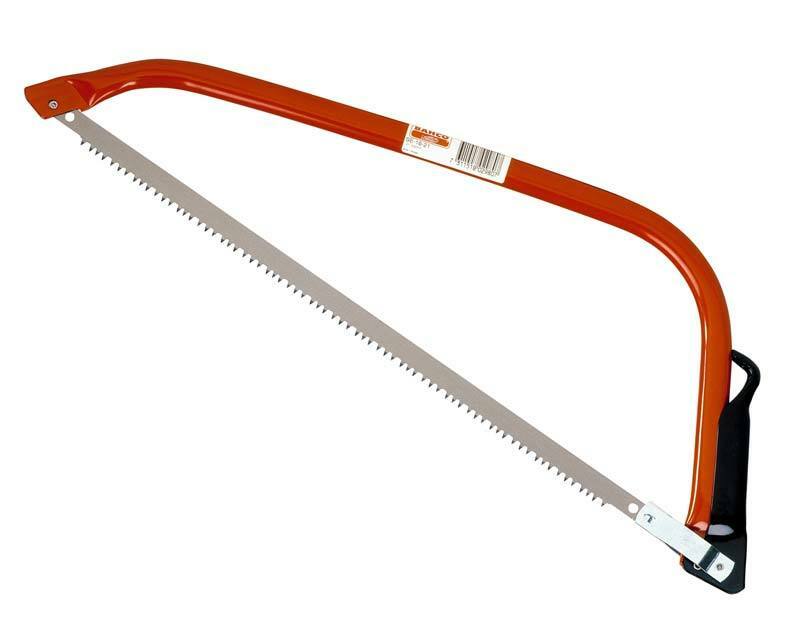 This saw consists of a narrow and rather flexible blade that is held under tension in a wooden rectangular frame. The wood being cut passes through the center of the frame and is the saw is secured to move the piece of wood back and forth in order to be cut. 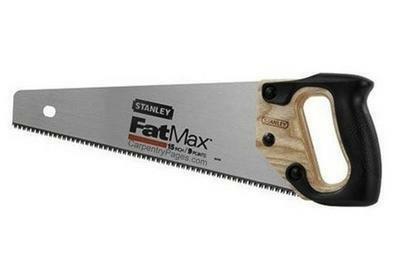 This name refers to any saw that is designed to cut wood perpendicular to or across the grain. The teeth of the cross cut saw could be small or large depending on the wood they are designed to cut. The smaller teeth are suitable for fine woodworking and DIY projects. A backsaw usually allows for more control than other handheld saws because it has a stiffening rib on the edge opposite to the cutting edge. This also makes it more suitable for fine woodcutting and delicate woodworking. This tool is used to make rough boards flat before they are further flattened by a jointer plane. A force plane ﻿﻿has to be sharpened regularly so that it can help flatten the wooden boards used in DIY or woodworking projects. The blades of these chisels have a rectangular cross section. This makes them stronger than all the other chisels and can be used for tougher jobs. 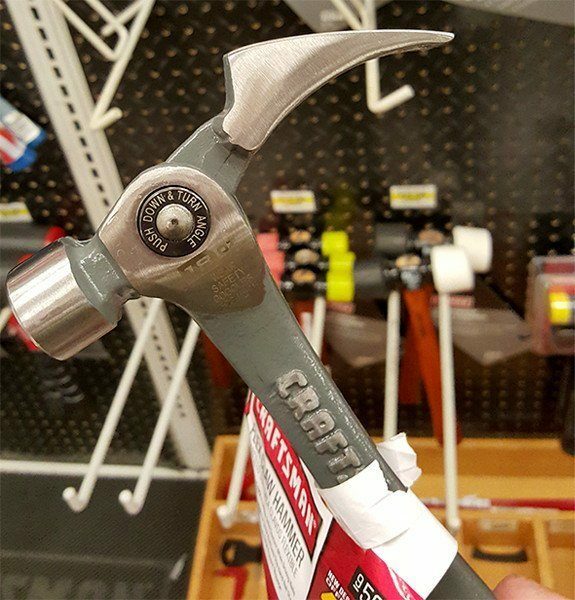 This hammer has a sharp peen to be used at right angles. It is used to drive force just like other ordinary hammers but the tip of the blade makes it distinctive. Having a smooth surface to your wooden work is essential if you want it to look polished and elegant. This is used to hammer nail heads below the surface of the wood, which is something that you can’t do with a hammer alone. These are gripping tools that look just like scissors but they have blunt edges. They can be used to pull, cut or pinch objects making them the best tools for mechanics and people who are interested in woodwork. This works just like a marking gauge but it uses a knife instead of a pin to mark the wood. This especially works when you are marking wood against the grain where it goes smoothly just like you would if you were marking it with the grain. 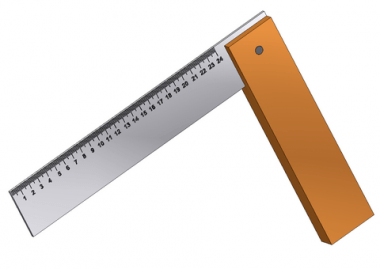 You can easily learn to make your own cutting gauge if you want to take your DIY ﻿﻿﻿projects to a new level. This is usually used by carpenters. It has a ratchet driven chuck and it is used in situations where the complete revolution of the handle is impossible. 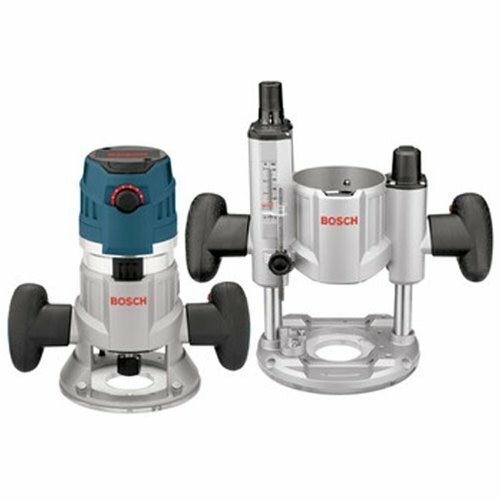 It can be used to drill holes in wood where the design allows you to use it to draw deep and big holes without exerting too much pressure. Bits are used to remove material to create holes. There are different types of bits used to create holes in your woodwork. An auger bit adds a long deep spiral flute. There are two types of auger bits. The Jennings has a self-feeding screw tip. It has a double flute for effective waste removal. The other type is the Twist. 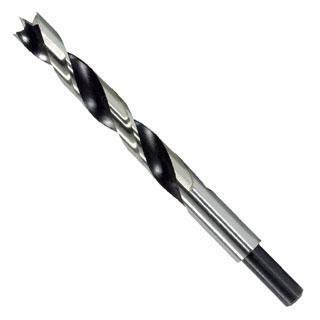 Twists are the most widely used kinds of bits because they can cut and drill holes in any surface no matter how hard to thick it is. Twists are used in woodworking projects because they are strong and reliable. 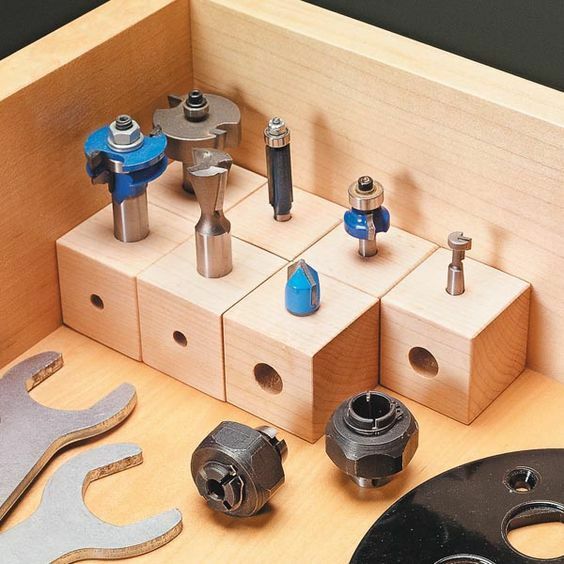 These bits were invented because original bits used to wander off when used on flat surfaces. This is why these bits were especially made to drill holes in wooden surfaces. The bit has a sharp point with 4 sharp points on the sides to cut through the wood. This keeps the bit in line while drilling the wood. 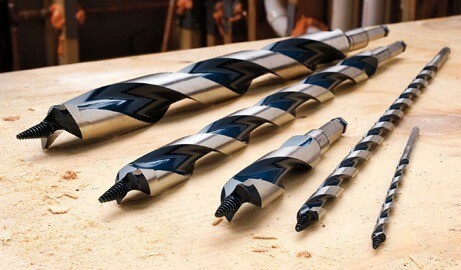 These bits are designed to countersink nails and screws by driving them deeper into the wood so that there is no elevation in the wood surface. They could especially come in handy if you want your woodworking piece to look flawless and unique. 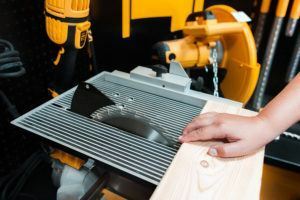 These prepare the woodworking surface to bigger drill bits by creating an indentation that would allow bigger bits to go with ease without damaging the surface of the wood. 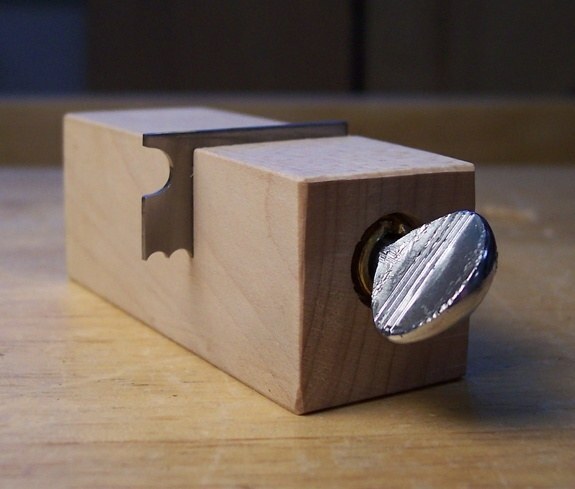 This is a simple woodworking tool that simply aims at making sure that edges are squared. It could be used to measure the accuracy of 90 degrees angels of different surfaces. This is a finishing and shaping woodworking tool that is used to remove small amounts of material especially in areas where there is tricky grain. It is used instead of a hand plane in case it might cause the wood to tear. The end result is finer and smoother than that obtained from sanding. These are used to sharpen the edges of different metal blades that are present in hand tools and power tools. This includes the blades of chisels, hand scrapers and plane blades. These stones usually have two sides; one that has a coarse grit and another that has a fine grit to suit different sharpening needs. You can’t start a woodworking project without being sure about the measures of everything you use or cut. Otherwise your woodwork will be a complete useless mess. This is a rule that is composed of light pieces of wood or metal that are joined by rivets to be foldable. This makes it the best tool to have in a woodworking place. It can be folded for easy transport and the folding mechanism allows you to measure the lengths of angle sides. 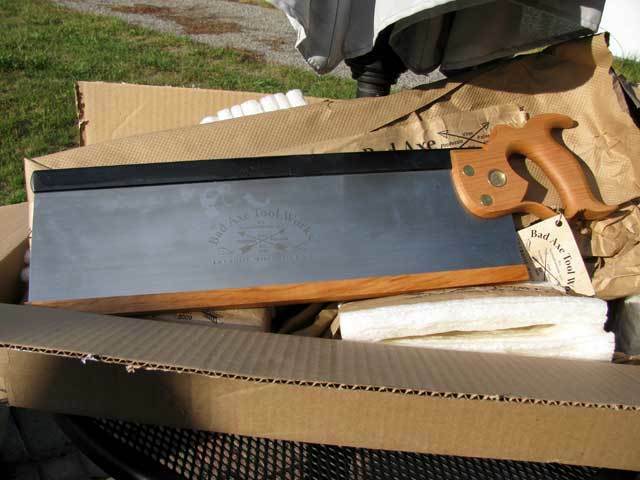 This is a metal framed crosscut saw that has a shape of the bow. It has a coarse wide blade inside the frame. It is used for coarse cutting for big chunks of wood. The smaller models are suitable for cutting fine cuts whether they are curved or straight and are suitable for fine woodworking projects. The blade is kept in tension in the middle of the frame where the saw has to be moved back and forth to cut the wood. 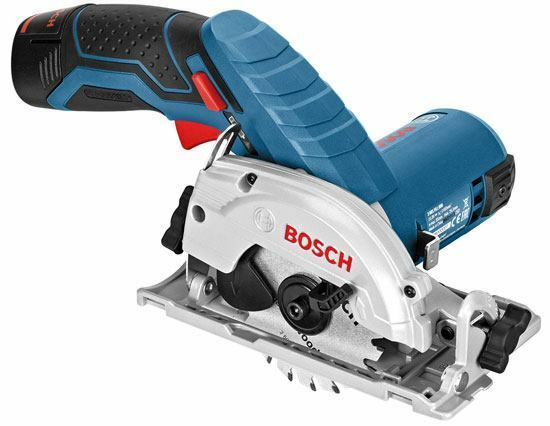 This is one of the best saws used in woodworking projects because it is designed to perform weird and delicate cuts in rather awkward angels. There are 2 types, the fixed blade type and the retractable blade type. 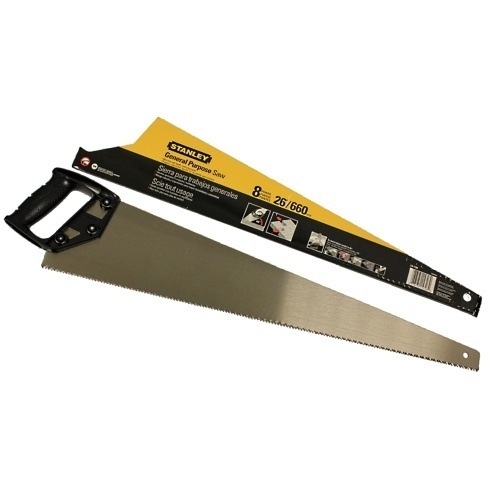 Both have a tapered blade and a secured handle that can be used to move and control the saw perfectly. 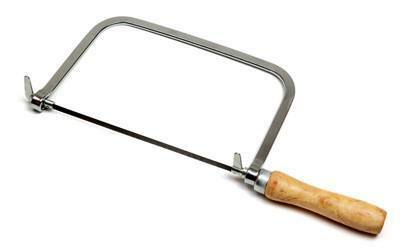 A coping saw is a handheld saw that is used to make interior cut-outs and exterior cuts. Its blade is usually coarser than but allows even for circles to be cut when used with care. 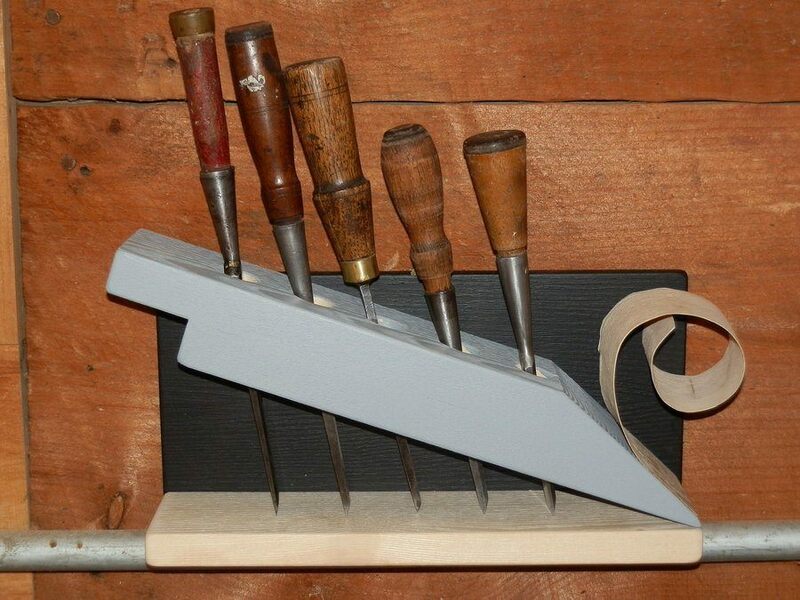 They are very important tools to use in woodworking projects. This is a plane piece that allows the wood piece to be trimmed till the edges. It is used to plane in the concave corner where 2 pieces of wood meet perpendicularly. It is also used for clean-up of tenons. 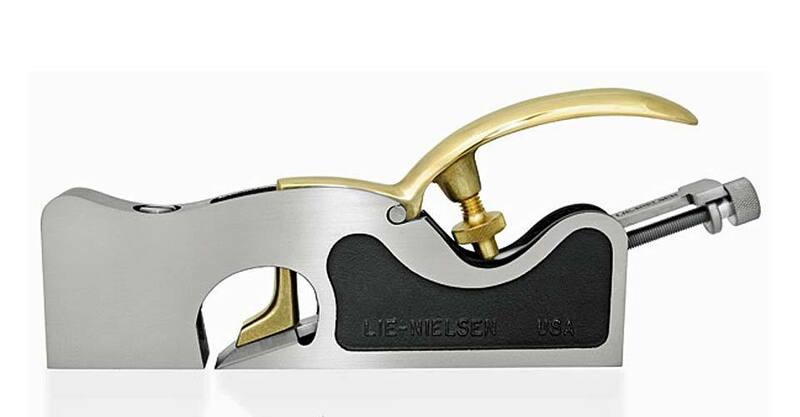 The shoulder plane is similar to the bull nose plane in the sense that it trims right up to the edges of a workpiece. 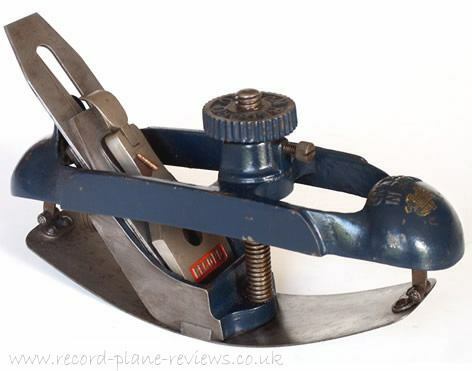 The blade extends and this allows the plane to cut until the end of the workpiece. It is designed to cut end grain and this why there is difference in the angle of the blade between the shoulder plane and the rebate plane. It also has a finer mouth allowing for finer shavings to be taken. This plane allows for the trimming of curved surfaces like side tables and chair handles. It has a concave and a convex side to work on circular and curved wood pieces. 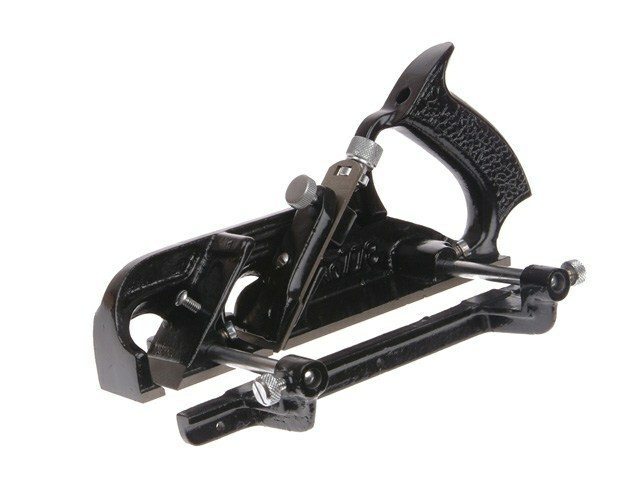 This enables the compass plane to obtain the best and smoothest finish in curved wood pieces. This is a handheld plane that is used in woodworking pieces. 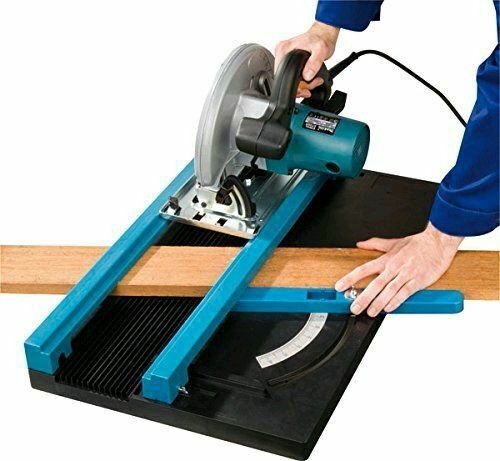 It can be used to cut rebates or steps in wood pieces and this makes it essential for woodworking and DIY projects. 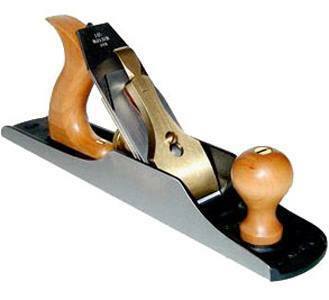 Planes are used to trim wooden surfaces and to smooth them out before or during work. A toothing plane has teeth that enable it to work on wood that has uneven grain. It would still smooth it out and prepare it for later hammer applications. 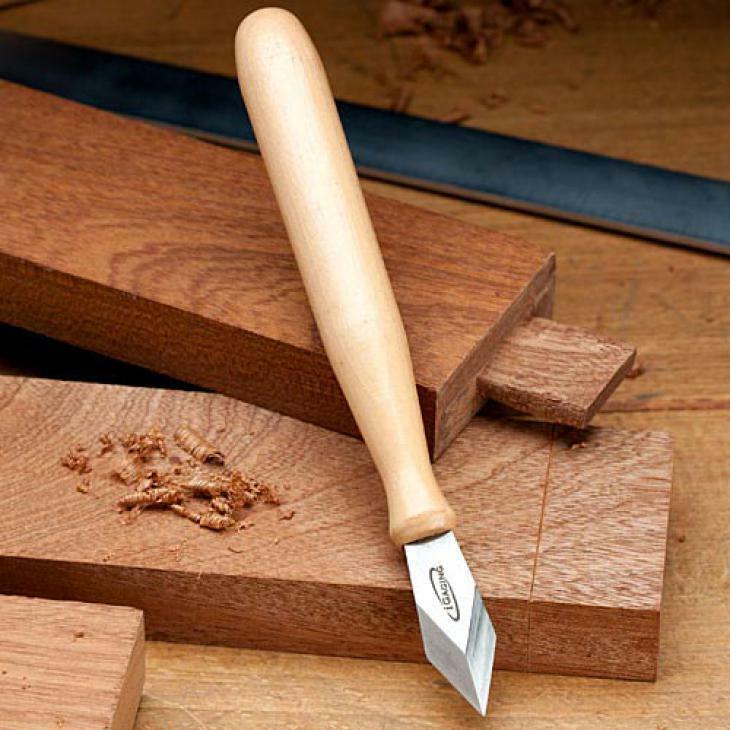 Choosing the right chisel is essential to have high quality woodwork. A paring chisel is used to shave small amounts of wood. It has a long flat thin blade that tapers towards the end to give the finest cuts when cleaning out grooves. 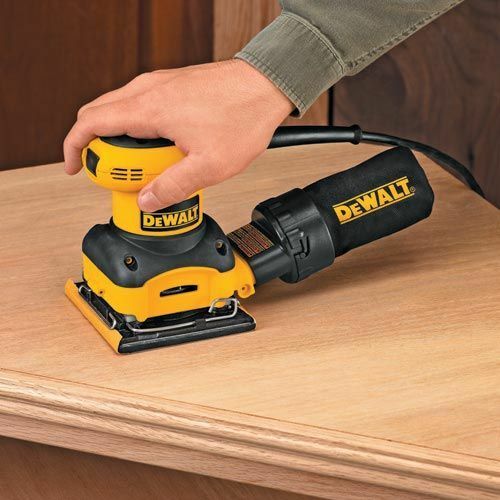 It removes wood shavings effortlessly and without damaging the wood surface. 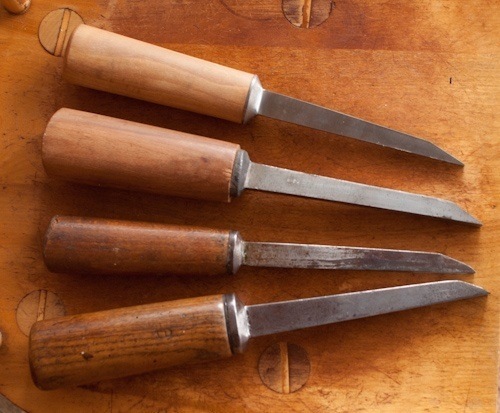 There are a lot of chisels that every woodworking enthusiast should be familiar with. Owning and using the right chisel will ensure that your job is well done. Chisels are used to remove wood from a workpiece. This particular chisel has the tapered end to do this with ease. 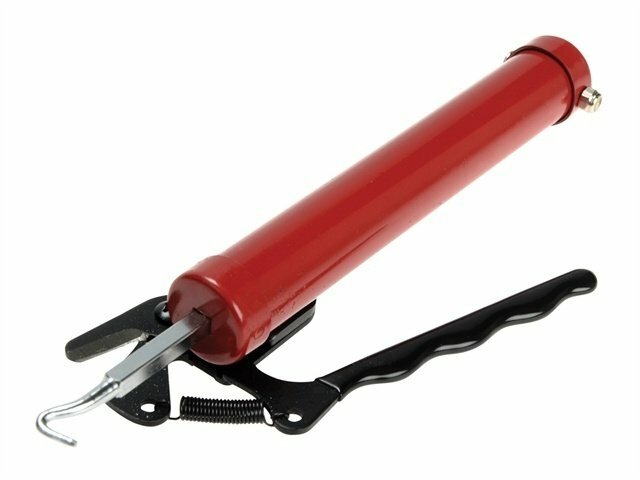 The handle provides enough leverage to remove all the wood waste which makes it more appropriate for the job than bench chisels and other chisels that don’t have such a thin blade. 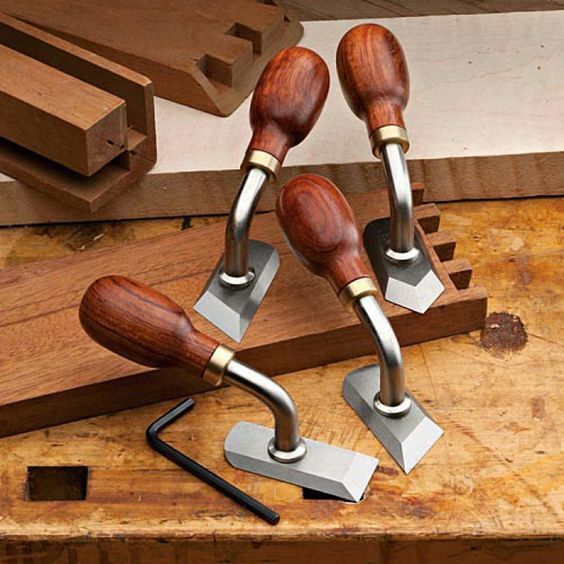 Owning the right set of tools is essential to have a high-quality woodworking piece of art. 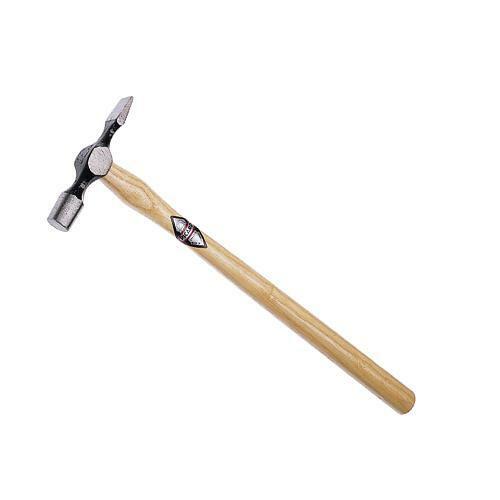 This is a light type of cross pane hammer that comes with a long handle. The head of the hammer is rather small and this makes it perfect to screw and screws and nails in tight areas. This is a woodworking tool that is used to smooth and shape wooden rods and shafts for different DIY and woodworking projects. This includes wheel spokes and chair legs. It can also be used to make bow arrows and to carve kayak paddles. It usually includes a sharpened head where the wood would be shaved down and shaped. The blades are made from metal while the handles are usually made of wood. 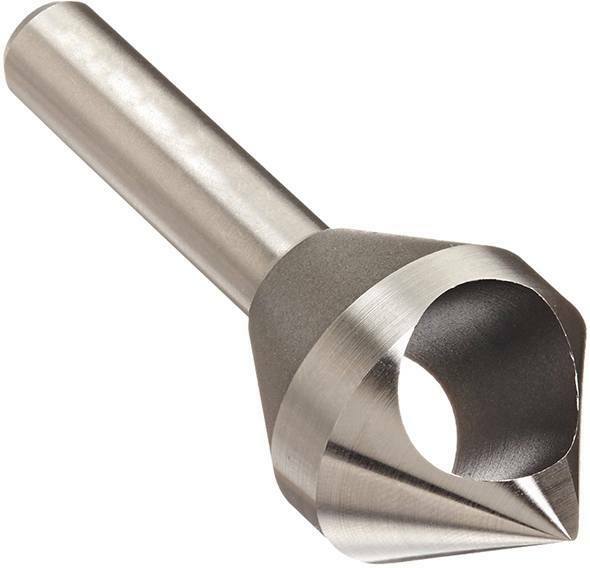 Auger bits were manufactured to provide a deeper flute for effective chip removal. 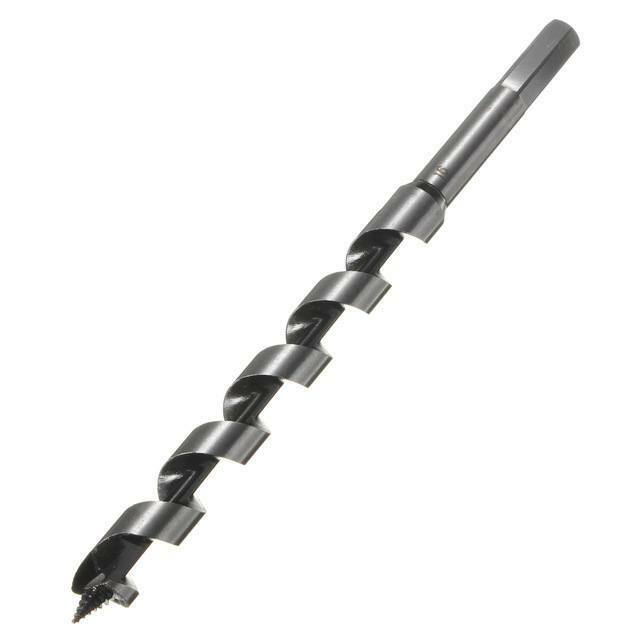 The diameter of auger bits is usually expressed by one single number. The chip clearing ability is essential for digging and creating deep holes. Center bits are designed to drill holes with a hand brace. The center is a piece of tapered metal that drills holes into the wooden surface. The edges of the bit are sharp enough to cut through the fibers of the wood. Center bits don’t work well when used to cut through the end grain of wood. They can be sharpened with a file. These tools are mainly used to clamp work together while it is being glued. This ensures that nothing moves until the glue completely dries. They come in different sizes for different purposes and are usually used in pairs. A hand screw is a screw that can be tightened by the hand or the fingers without the need for a tool. It is usually used when you are working on delicate woodworking piece that requires attention and care. It will be used to drive screws into wood to secure two pieces of wood together tightly. 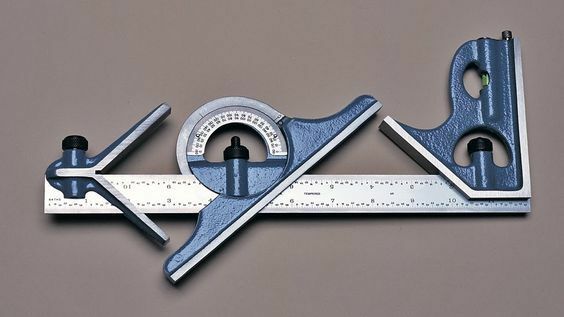 This tool is used to mark angles and to measure miter joints. It is usually composed of 2 blades that typically sit at a 45 degrees angle but can be easily adjusted to measure any corner. 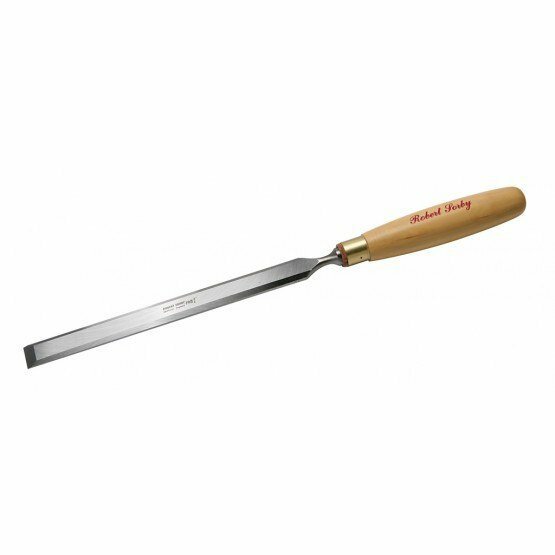 It is an essential tool to ensure that your woodwork is professionally levelled and adjusted. 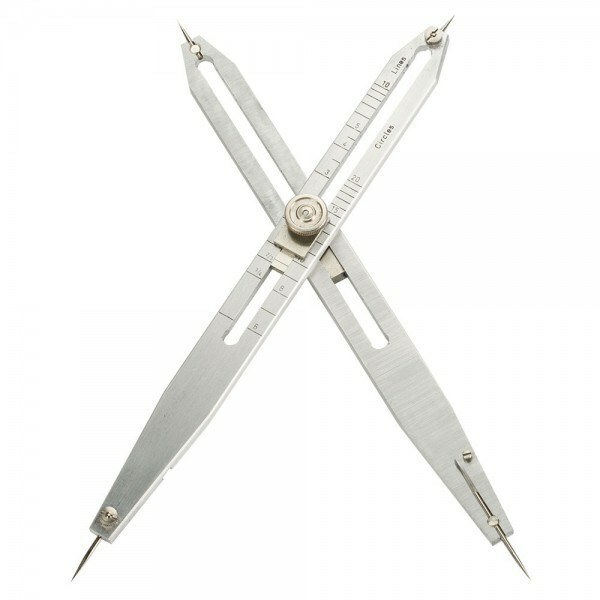 This tool is used for adjusting and transferring angles. It is usually made with a wooden handle and a metal edge that can be tightened or loosened to secure any angle. It can be used to duplicate an existing angle or to create a new one to ensure the uniformity and symmetry of your woodwork. 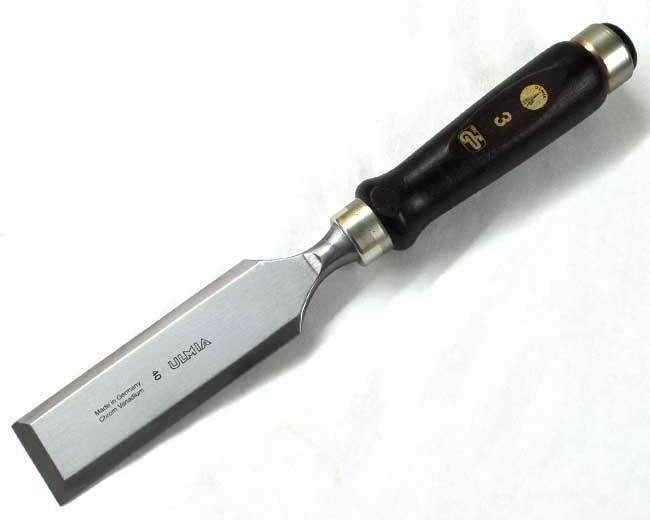 A gouge looks very similar to a chisel but the only difference is that the blade doesn’t look flat, rather angled or curved in cross section. The bevel of the blade can be either on the outer surface or the inner surface of the curve of the gouge. These look exactly like cheese graters and usually have the same function too. They are a cross breed between a plane and rasp. The benefit of using the surform tool is that it delivers faster cutting action with no clogging from material waste or dust. 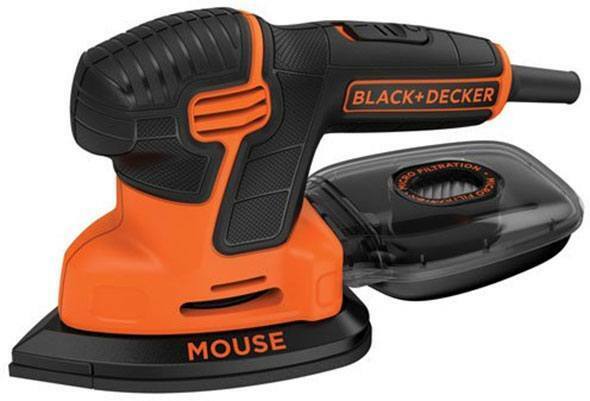 They are mainly used to remove wood from curved surfaces and they are super easy to control. After using this tool, the work surface can be further smoothed using files or sanding blocks. 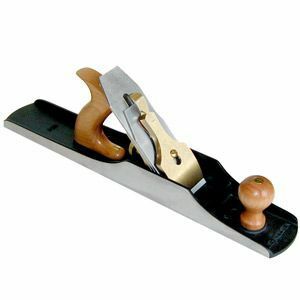 This plane is mainly used to smooth out sunken surfaces and depressions in the woodwork surface. It can reach tough corners and will beautifully smooth out the inner edges of a depression creating a uniform depth and a refined look. It is sometimes now replaced by powered electrical routers but some people still prefer to use this hand tool in special woodwork pieces. 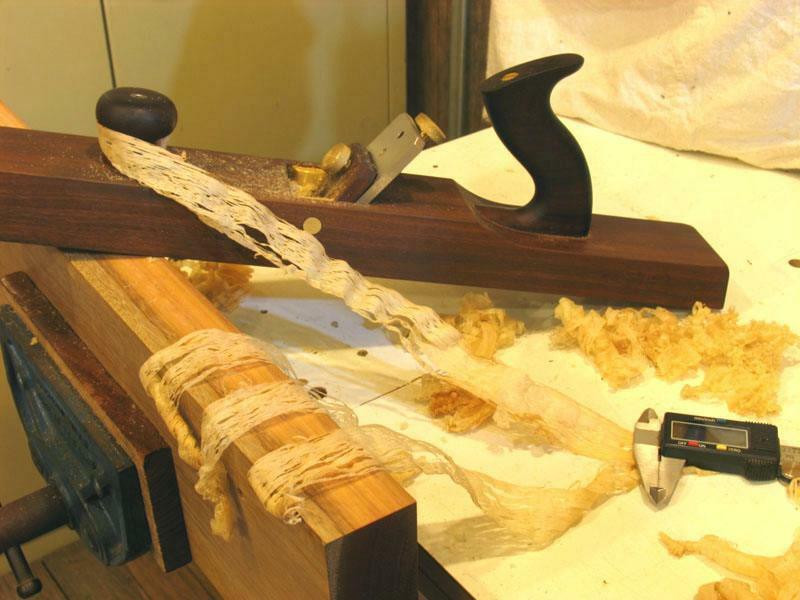 Maintaining accuracy is crucial to have great woodworking projects. Dividers work just like compasses work. One edge is placed on the wood surface while the other is used to draw an arc. This is used to guide saws to make precise cuts or miters in the wood. The board to be cut is placed on top of the board and then the appropriate point is lined up with the right slot on the block wall. A saw is placed in the slot and is moved back and forth to make the cut exactly where it is needed. 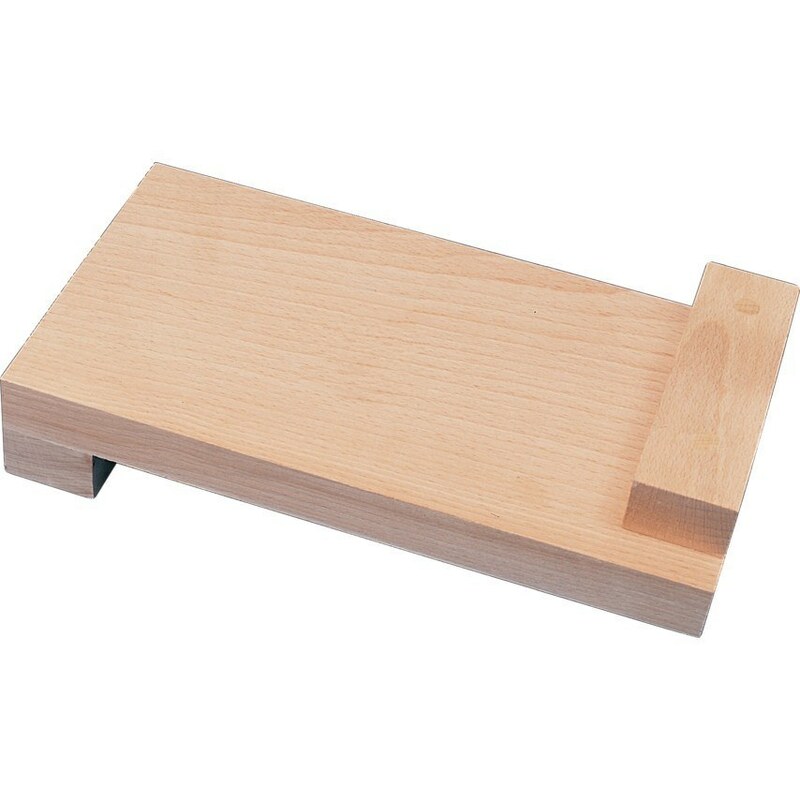 A miter box is another name for the miter block and it is an essential tool to avoid wasting a good piece of wood. The box is used to mark the exact places where there are cuts to be made to avoid irreversible mistakes. 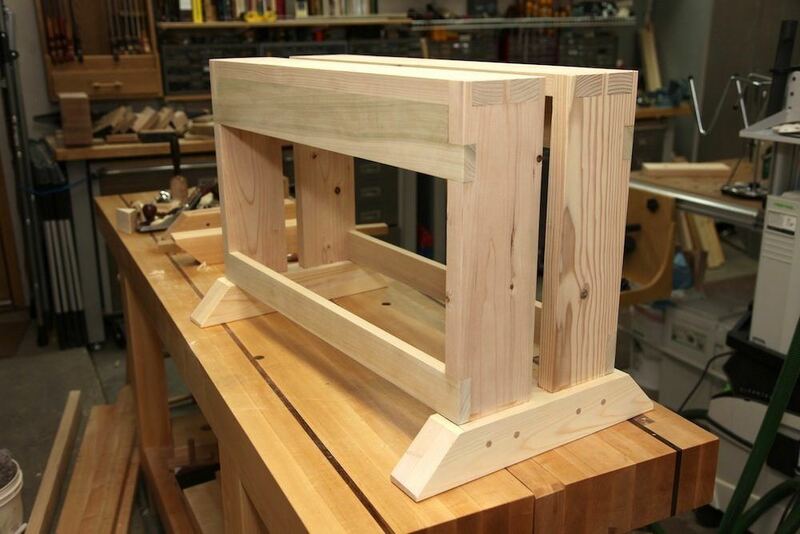 You can learn to ﻿﻿make ﻿﻿your own miter box in order to make sure that your woodwork will always be error free. A woodworking piece without uniform lines is just wrong to have and is a total waste of money and effort. That is why; you can never have enough tools that are designed to keep the level straight and uniform. 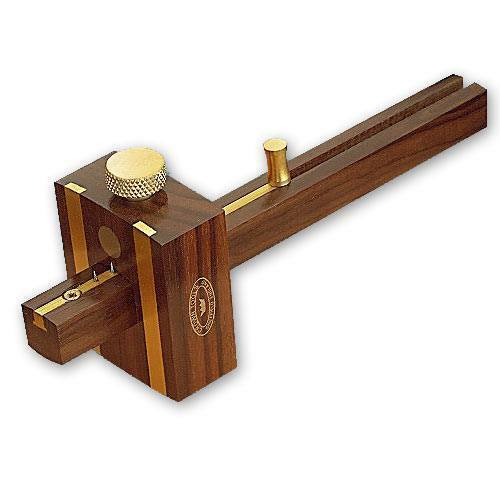 This tool is used to check flatness and to measure straightness of a wooden surface. 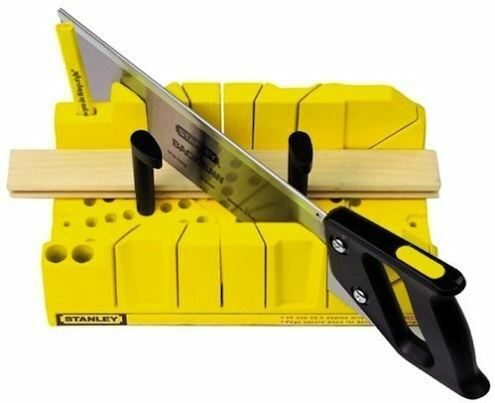 These are straight edges that are especially designed to be used in woodworking pieces. Just like straight edges they aim to ensure that everything is uniform, levelled and straight in your woodwork piece. They are used to amplify the twist in the wood pieces. 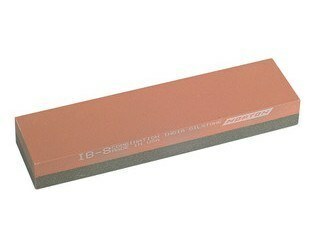 An oilstone is used to scrape and smooth different metal blades that are found in handheld tools and power tools that are used in woodworking and DIY ﻿﻿projects. In order to hold a stone and perfectly control it or to store it, you need to have a case. 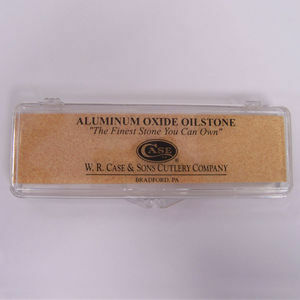 You can buy or make ﻿﻿you own oilstone case. 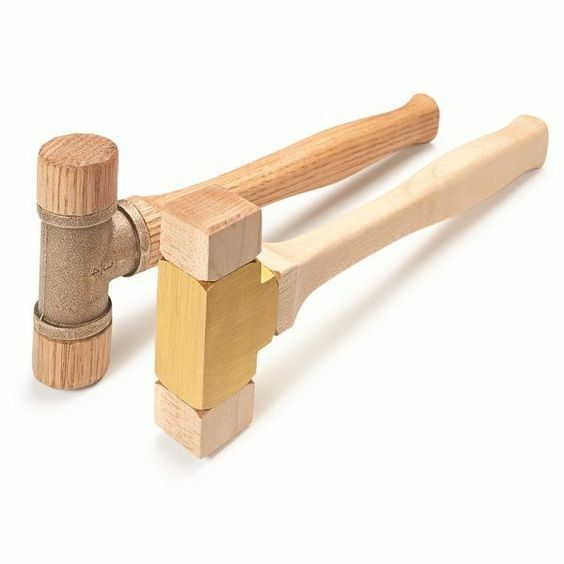 These hammers are used with hot glue to apply a veneer or a fine coating to a rather rough timber or lumber wood piece. It makes the woodworking piece more refined and more elegant by sticking a thin layer of wood on top of the original piece. This is mainly used to apply beads and decorations to wooden surfaces. 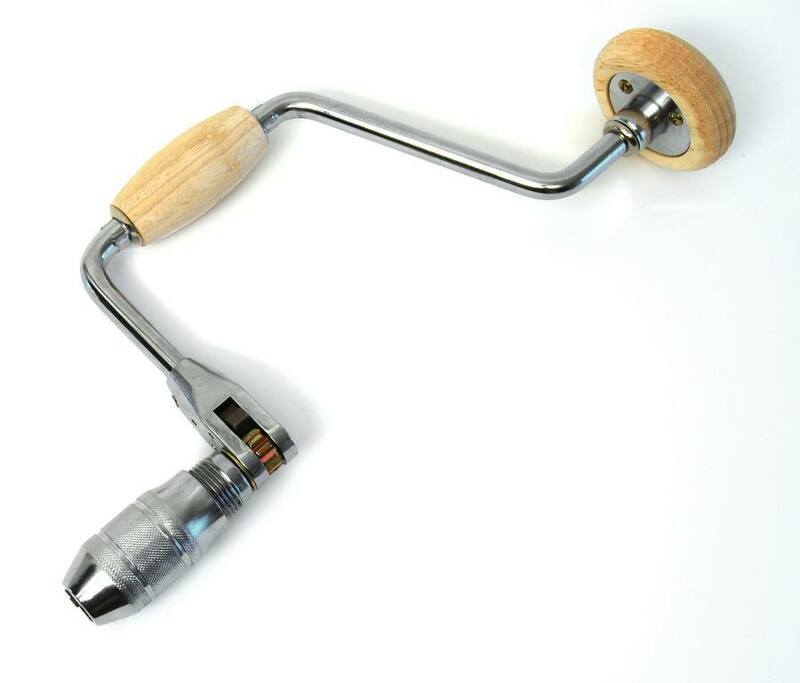 It is an essential tool to be used in DIY and decorative woodworking pieces because it can make your woodworking project turn into a new piece of art. The scratch stock is moved repeatedly across the wood until the desired shape is obtained. The only way to hide the end grain of a piece of wood is to make a miter joint. These are decorative joints made for frames and or window trims. Miter joints are weak but they look nice and can be used where you won’t be using much weight. 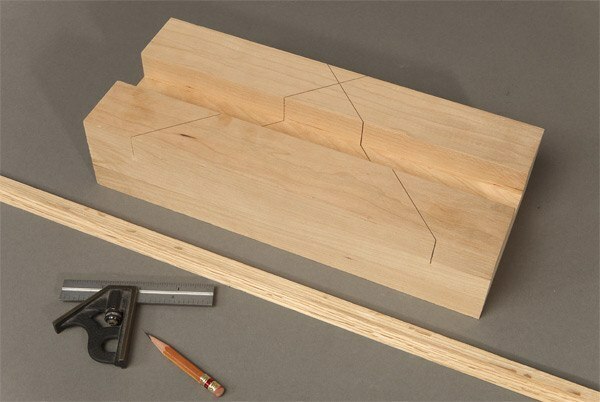 A miter template will help you get your miters right. 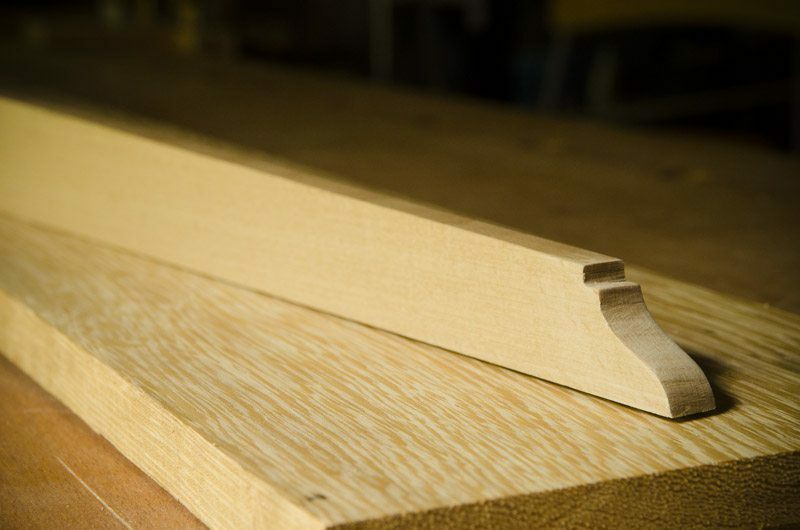 You can learn how﻿﻿﻿ to make the perfect miters to keep your woodworking piece looking great. These are used to cut the wooden piece with the bevel facing down and attached to the chip breaker. 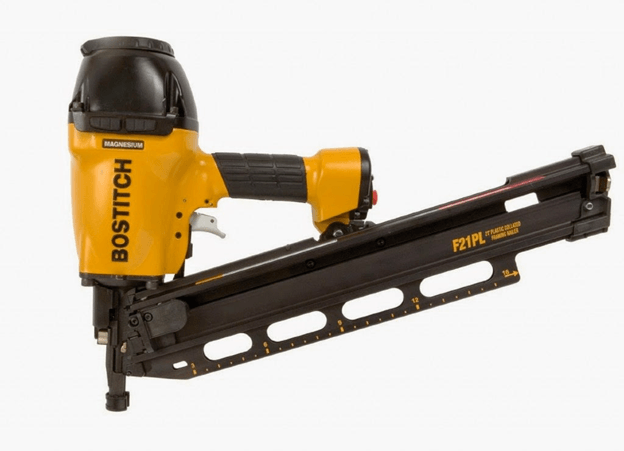 There are different types of bench planers that are named according to the task they perform. They also come in different sizes and shapes to cater for different needs to smooth and polish the look of your woodwork. 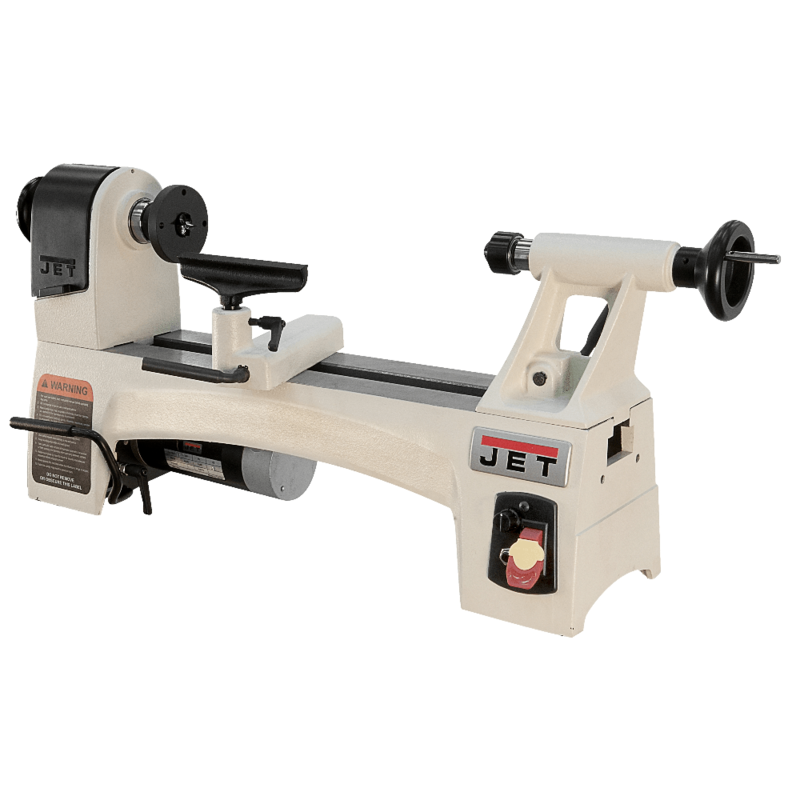 In general a jointer is used to flatten out wooden boards to be later used in woodworking projects. The machine operates on the narrow edges of the boards before joining the boards together to create wider boards. 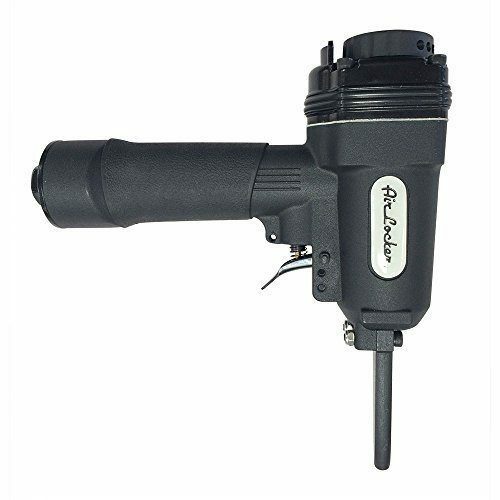 A drill is basically a power tool that is fitted with another cutting tool to create holes in a surface. 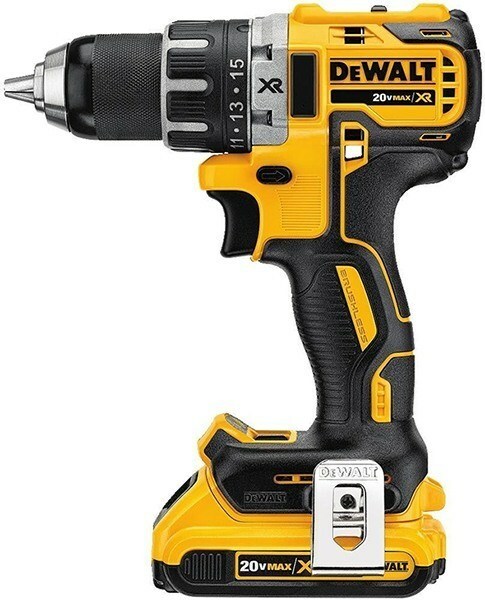 There are a lot of kinds of power drills that are named according to the function they do. 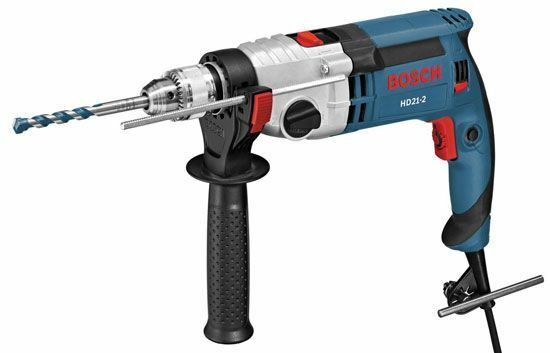 Drills are either used to create holes or to fasten materials together using a set of fasteners. The attachment is rotated while pressed against the wood surface. This resembles the drill press in so many ways. 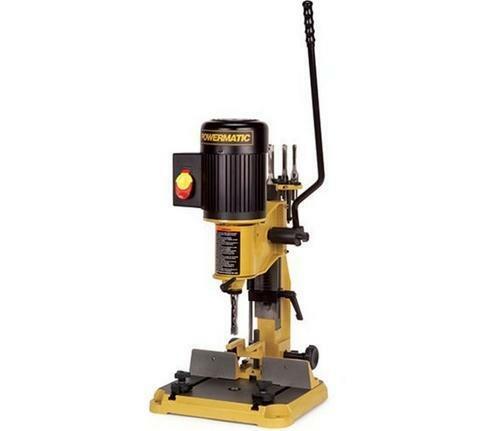 It combines the action of a four-sided chisel with the drilling function of a drill press. The drill clears the material to be removed while the chisel ensures that the edges are clean and straight. Routers are mainly used to create hollowness in a piece of hardwood that used in woodworking projects. A two-base router will have 2 bases like the fixed, plunged or the D-handle bases for different uses. After finishing your woodwork, it is a good idea to add your personal signature and artistic touch. 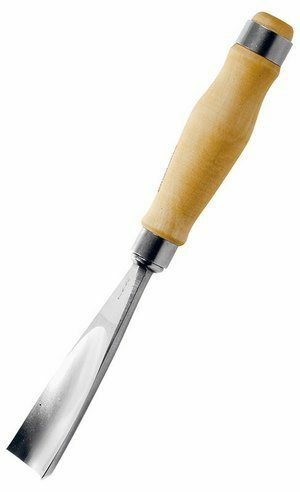 This tool usually has a sharp end and another blunt one and is struck by a hammer to form decorations on different wood surfaces. They can also be used to drive objects into the wood surface like nails. Decorative punches can create an image or a pattern on top of your wood surface. Nails are used in just about any DIY or woodworking project. Framing na﻿ils come in 3 different types, box, sinkers and common. Each type is used for specific purposes. They also come in different sizes. Sinkers and commons look similar in length and thickness but the pattern on top of the nail is different. Sinkers are very secure with a waffle pattern at the top that helps to drive the nail in. Common nails are flat and shouldn’t be used in places that are exposed to water or moisture as they tend to rust. Box nails are used to fasten thinner materials to avoid damaging the surface while working. 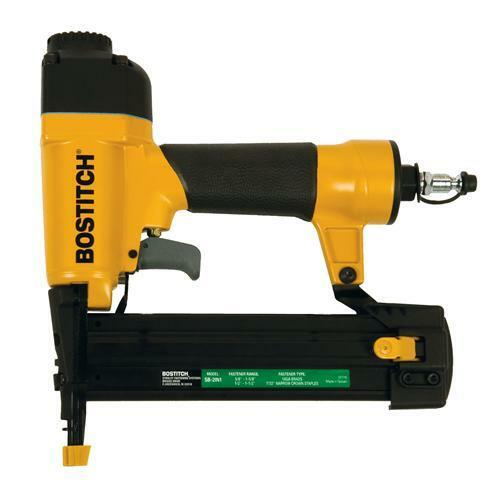 This is a type of electronic naile﻿﻿﻿﻿r that is used to drive nails into different surfaces included wood. 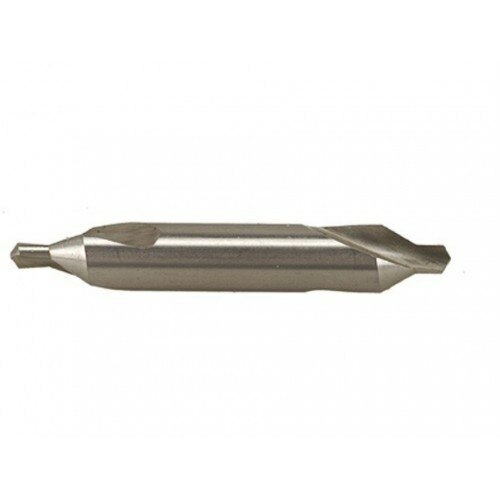 They are widely used in different woodworking and DIY ﻿﻿projects to drive nails fast and precisely to finish a woodwork piece elegantly. They work by means of compressed air or electricity. Brad nailers use brads which are mainly a finer version of ordinary nails and this makes them perfect for delicate woodworking pieces and fine trims. They can be used to drive these brads without using a wood putty to cover the hole because the heads of the brads are too small. 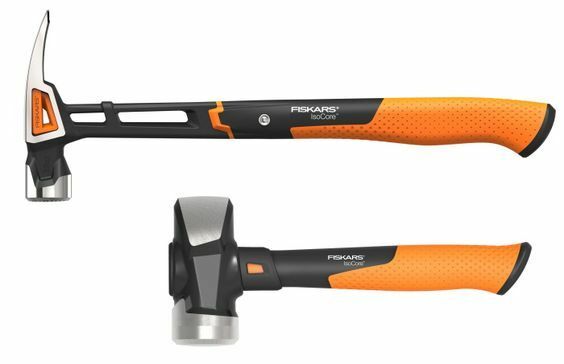 Fiberglass hammers are lightweight and this makes them perfect to use in DIY and woodworking projects. 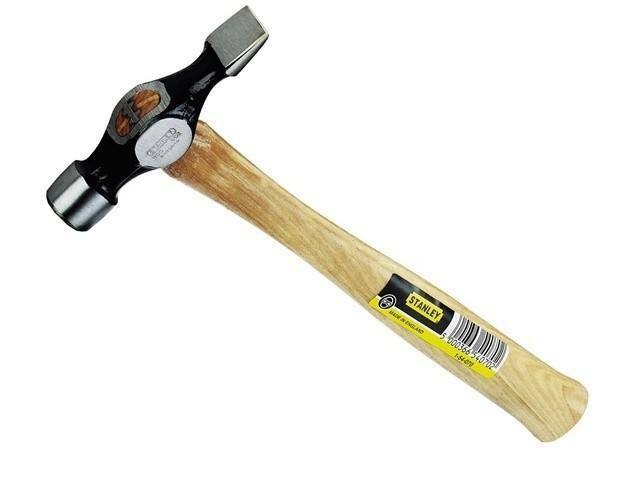 They are also easy to control and can exactly what steel hammers can do but might be less dangerous to work with. 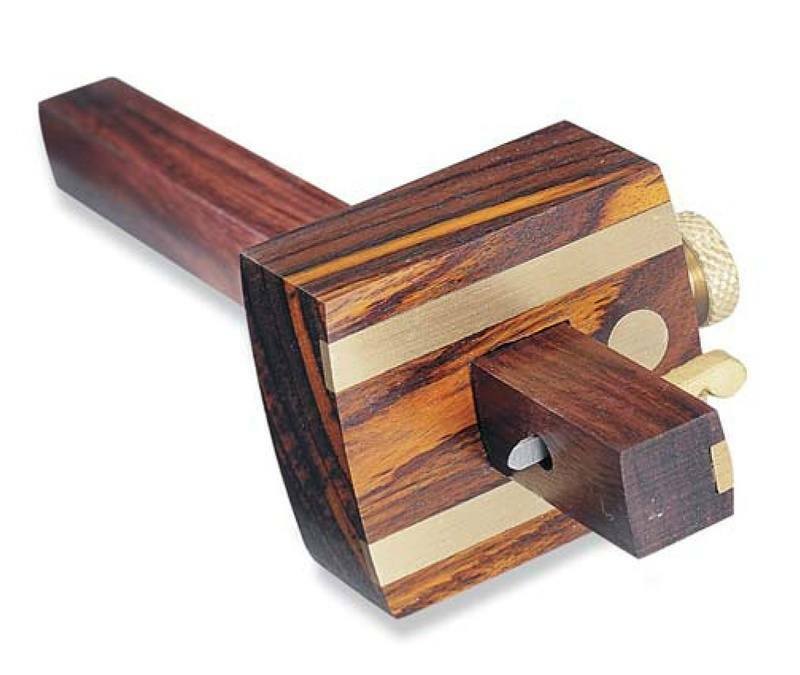 They can be easily handled to work on delicate woodworking pieces without straining the hand. 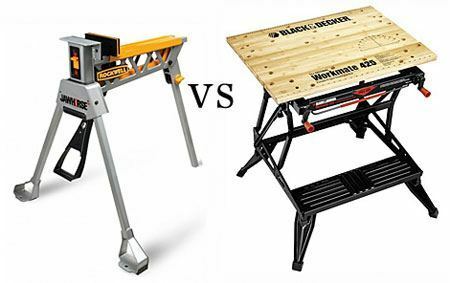 We prepared our list of tools with the typical woodworking enthusiast in mind. 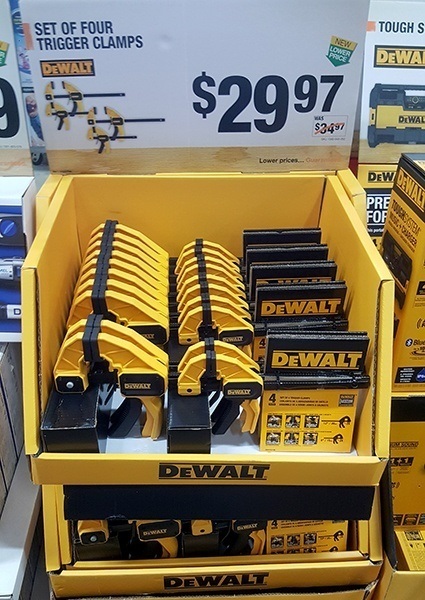 To start a DIY or woodworking project, you will not be needing all these tools. Some of them are best and solely used by the professionals. But these tools work together to give life to wood and to turn it into beautiful pieces of artwork that will live for years. These essential tools can be found in supply stores, stores that sell tools for DIY lovers and online. Think about your upcoming wood project and grab some of them and watch your wood come to life. The most imperative methodology in the produce of a handsaw is controlling the temper or level of hardness of the head. To start with, pick up with the correct steel or high carbon to steel. The profundity of the solidifying on the striking face is additionally a vital factor. Ordinarily, since you can’t see hardness, it is ignored, which influences the mallets solidness and makes it a possibly hazardous device. On the off chance that it’s too hard it winds up noticeably weak and chips effortlessly. The eye of the mallet should be solid instead of hard, so the eye ought to be gentler.